In an attempt to promote my new Book, I have found an uncommon ally, or possibly a reluctant one (if he were still alive – died in 2010). 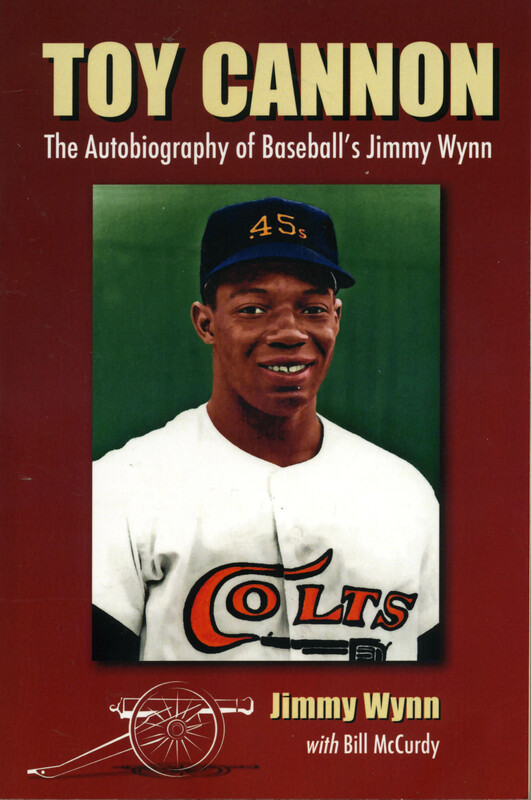 Although not altogether essays on Baseball, both books imply much that has Baseball’s signature of approval. Although I have an affinity for appreciating talented artistic, scientific, and literary minds as I come across their works, I don’t count myself as any other than a dilettante in any of the aforementioned-fields, except maybe the Art and Science of Baseball. Throughout my life I’m sure that I heard mention of J.D. Salinger, and a book entitled, The Catcher in The Rye, but didn’t pay attention as to the relevancy of either. It was only after I had written my last Book (one of three self-published), that I happened to be watching a movie on TV called Rebel in the Rye. As I watched and heard the story of Jerome, David Salinger, I was amazed to feel such affinity toward the author and what he wanted to accomplish in his writing but couldn’t because of all the external distractions he was experiencing in present reality as well as from war-time reminiscences. So, at my computer I looked up all I could about him. After watching and reading about the life of J.D. Salinger and his ultimate frustration with the life and circumstances he depicted of his alter-ego, 17- year-old Holden Caulfield, it became clear to me that he was not necessarily angry at individuals, himself, his popularity, nor with the wealth he was accumulating from his vast following of readers who were able to find a deep connection with the characters he vividly portrayed. Multi-Millions of books were sold in his lifetime and beyond of his ultimate best-selling Novel, The Catcher in The Rye. But, he came to disdain the attention he was given by the populous. He indirectly blamed his popularity for his inability to attain the inspiration to resolve the problems his astute and insightful apprehension and comprehension of circumstances creating chaos in the world had on the individuals comprising that world. It surprises me that a book published in 1951 is still popular today even though it perpetuates Salinger’s own eternal frustration that the world just can’t seem to find Peace, either at Home or Abroad, “within, or without ‘self’.” It seems ironic that Salinger’s attempts at finding “inner-peace” from yoga and other Oriental philosophies and metaphysical practices so that he could find inspiration to better write, failed miserably at espousing a simple contrite sense of “forgiveness.” The only facsimile of peace he finally attained, until his “passing” at age 91, was in his portentous discontinuance of publishing any future written works. From the mid-1960s, he merely wrote for the simple-satisfaction of quietly expressing his elusive inner-being through writing. However noble and self-effacing that may have been, it seems too self-ingenuous to have preferred a solitary life of self-indulgence without offering his self-analysis to the benevolence of others. But perhaps his final rest did not afford the opportunity to divulge the contents of his self-examination. It makes me to wonder if, at the time of his “peaceful-passing,” he might have thought to himself, “If I Knew Then What I Know Now – Could I Have Made A More Significant Contribution? And, did my isolationistic stance merely neutralize my passionate and energetic enterprise of advancing toward a meaningful extrapolation of Truth?” I don’t profess to be the accomplished writer that J.D. Salinger was, but I have proposed a story that offers a more tenable solution to the problems whose prevailing circumstances have confronted “mankind” from before 1951, and for which Salinger’s altruistic interventions had displayed only the futility of lost causes. His self-examination through philosophy and metaphysics most certainly would have been a pragmatic step to finding the inner-peace for the “individual” to help expand the “collective” reasoning with the ultimate hope for “universal” Peace. But, he did not delve deeply enough into the inner working of the power of his own individual mind and its vibrational relationship with its Source to divulge what it meant to “seek first (from) the Kingdom of Heaven” and let all Its tributaries be blessed in consequence. He would have discerned that the problems of the world cannot be solved without first resolving the conflicts within the individual unit of life (“Peace begins with ME!”). From a macro-cellular perspective, that begins with care and consideration of one cell for another within all cellular networks within the Cellular System, within the Organism (World) of the Body. Analogous to the World is the Body. Each, and every cell is an equal representative of the Body (World) and is integral to the health and welfare of that entire Body. Therefore, in any deviant situation, correct the malfeasance of the body by counter-balancing the cellular disorder, and the Body (World) returns to its natural state of well-being. The governing force that regulates the cellular system of caring for the body is the Central Facility of the Brain, to which Intelligent programing from Mind directly stimulates productive activity within each cellular network to promote health. The mental agency delivers, via vibrational frequency, the High vibrational impulses of thought to energize the cells with the nutrients of good-feeling thought-impulses from which all cells remain in balance to make the body-parts strong, flexible, and compatible. 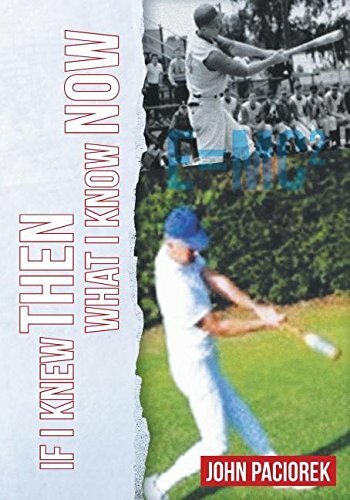 My Book, If I Knew Then What I Know Now, is more than a novel-rendering of a relatively short story (yet 414 pages) about a teenage athlete who within a short span just beyond 17 years had climbed to a pinnacle of notable (aspirational) success in his debut performance as a Major League Baseball player. 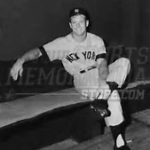 Nor is it a mere reconnoitering of prior or subsequent events that may have contributed to circumstances which led to crises that affected a promising Major League Career. 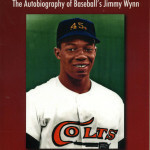 Rather, my Book is a portrayal of a young man (in formative years) whose childhood was offered an innocent and nurturing modest household, yet without the accoutrements recommended to establish inherent aspirations toward any goal other than becoming a professional athlete. He disdained any fondness for academic acumen because his formative years in a Parochial-Educational community were fraught with fear and debility. Most Christians accurately assume that Jesus’ life was an example for which all mankind would delight in following, as closely as they could understand how, by doing so, their “burdens would be light.” But they inaccurately presume that Jesus himself would “lighten their loads.” His mandate was, to “Go and do likewise”! They also must “bear witness” to Truth! Was it the truth that Pilate implied in the relative practicality of what sense testimony promoted and provided? Or was it something beyond the mortal vision of scattered perception that entailed the single-minded focus of infinite, eternal GOOD? As Salinger was, in his day, the vanguard of literary innovation, I ascribe to a new purpose, of which might be to inspire, in the mind of every reader, the recognition that hope-lost can always be revived in the childlike imagination of those individuals not yet adulterated, nor easily discouraged, by the ravages of tragedy or disappointment. If one is hanging on from the lowest rung of a suspended ladder, where else would he go but up? But more than out of sheer necessity, he/she can climb with joy the “heights of mind” and rest one’s volatile emotions, or mutable human circumstances, in the tranquil state of a consistently inspired “good-feeling” dream. A person is frustrated by what he sees as his own “best-efforts” resulting in failure or having no promise of ultimate success. Without any slight-sense of hope, he will find no recourse but to surreptitiously end his mortal existence or somehow justify blaming the “innocent and moderately-successful” and derive an “extremist’s” satisfaction in precluding their modest entrepreneurial aspirations. He is devoid of a reasonable acclamation of Wisdom’s recognition that, “Of mine own self, I can do nothing,” or, “a severed branch cannot be nurtured by the substance of the Vine.” And finally, he understands not, “That which is seen is not made of that which doth appear,” so that, when he prays (asks – desires, or wants), he does not “KNOW” that he has already received in Heaven, so, by his “unknowing,” he cannot receive it in Earth! But the question most often thought and asked is, “How can I expect to receive that for which I desire or want?” Most practically-minded mortals would surmise they would either work hard for or steal it. Very few might recognize and apply a metaphysical strategy of “practicing the thought of the thing he/she desires” until that thought, reinforced in replication, would “turn into the thing(s)” desired – thus the application of Faith to the belief that, “Things that are seen are not made of/from things that do appear,” but by the vibrational essence of that which has been prepared in Heaven by the desires initiated in Earth. As a temporary aspirant to Christian Science, Salinger must not have taken advantage of, or practically applied, Mary Baker Eddy’s principle, “Hold thought steadfastly to the enduring, the good, and the true, and you will bring these into your experience proportionably to their occupancy of your (thinking).” How much more scientific can words be than, “For this purpose was I born; of this Cause came I into the world, that I should ‘bear witness to the Truth,” – Of Goodness! – “I am in the world; but I am not of the world.” Those words are from him who wanted all to apply them to their lives as he applied them to his. Faith and Truth are no longer “terms of endearment” unless they be alchemized to a higher level of meaningful accommodation: You shall know the Truth… – of/in What? I have or practice Faith! – In What? To what Truth is my mind’s body “bearing witness” when it is sick, diseased, and dying? And, in what does my mind have Faith that it would accommodate my body with the horrors of the aforementioned? When Pontius Pilate submitted his cynical inquiry, “What is Truth?” he was deliberating how anyone could conclude a meaningful answer from Earth’s Relative perspective. Only in Heaven is found Absolute Truth. But in Earth all truth is relative to one’s experience of Goodness in his/her condition, situation, or circumstance. The only truth to any condition, situation, or circumstance is the goodness derived from what is presented as apparently benign or “contrasting.” For a mind to “bear witness to Truth’s Goodness” as it pertains to its body, it must submit to that Faith which is the substance of “things hoped for” and the “evidence of that which is not seen,” in the Goodness of All and the All-ness of Good. I would that my body “bear witness” to my mind’s Faith in Truth’s Goodness! J.D. Salinger non-intrusively implied with his, “Fiction is more truthful than reality,” what Albert Einstein had more explicitly confirmed with his, “Imagination is more important than knowledge.” To Salinger’s ever-expanding state of mortal-consciousness, he was able to discern faintly what Einstein’s own imagination had revealed to himself prior to promulgating his theory of Relativity. Had J.D. taken more to heart what his mentor (Burnett) innately felt, “imagine a story you’d want to read, then write it,” he could have proposed a scenario where a joy-filled conclusion to life could have been naturally/incrementally realized. Whether it was his Jewish heritage that prevented an optimistic approach to anticipating a happy ending to anything, or the predominant experiences of his own life that gave no evidence of Divine order, even his predisposed feelings about childlike innocence took a hit when he felt betrayed by a young student’s “innocent” prevarication. But, where else could imagination be better illustrated than in that childlike state only from which Heaven can be found (as expounded upon by a formidable, former Hebrew scholar Two-Millennia before)? Salinger “missed the boat” completely when, in the beginning stages of his “seclusion,” he paid little or no attention to his own offspring from whom he would have been beneficiary to an unfathomable range of Heavenly insight. Instead, he carried out a family tradition and heritage which only further alienated him from the innocence he longed to incorporate in his writing. His silent “Passing” at age 91 is some indication that his reclusive 45 years must have refined his thinking to a point attractive to Peaceful departure. But unless we become privy to his written documentation of literary inspiration, we can only speculate as to the inner working of his life’s content. Greatness is a humanly exaggerated or a spiritually magnified sense of being. To be extolled with greatness, one must step up above one’s peers, beyond the casualness of conformity, into the altitude of “Uniqueness,” wherein the atmosphere of Soul the inspiration of life a lesser man cannot inhale. The greatest man that ever walked the earth was once asked by his disciples, “Who is the greatest among us?” At one time, he told them that “. . . of a man born of a woman, none was greater than John the Baptist. Albeit, he that is least in the kingdom of heaven is greater than he.” Later, he answered by taking a little child and placing him/her in their midst and saying, “. . . of such is the kingdom of heaven. He who would be greatest among you, let him humble himself and become as a little child.” – “You must be ‘born again,'” not of water, but of the Holy Spirit (Inspiration)! It might seem unfortunate that it had to take more than fifty years to accrue life’s valuable lessons and then presume little time remaining to take advantage of the wisdom that would certainly be found to give beneficial service to the days of youth. However, since Life’s secrets spring eternally from beyond the darkness, moment by moment, they can always be discovered and discerned. Then, they can be applied to any currently resistant thought, condition, situation, or circumstance—provided their principle is found to be acceptable and provable to any mind’s faithful pursuit and patient but eager resolve. Neither age nor time is an essential factor. Some will reap immediately where others have already suffered or sown! And as it may appear that one’s finest hour might precipitate—at least—a temporary sense of darkness, so also the darkest hour simply and inevitably precedes the dawn. “Sufficient unto the day” . . . is how Jesus would refer to it! The Phoenix again rises from its own ashes! Read my Book, If I Knew Then What I Know Now! 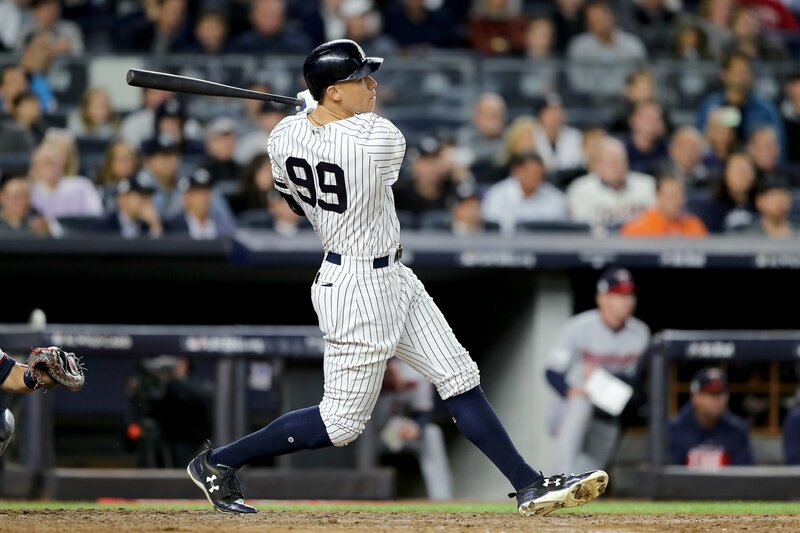 Aaron Judge could be the Greatest Player in the history of Baseball. 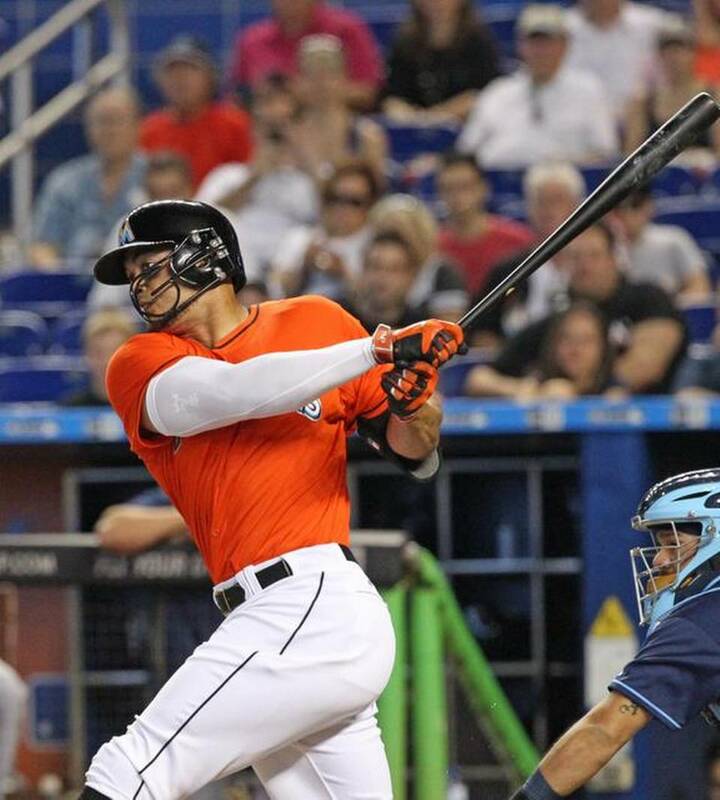 He is Big, Strong, Fast, Outstanding Arm, Hits with Uncommon Power, could be a Consistent Contact- Hitter – That would make him a 6-Tool Player. 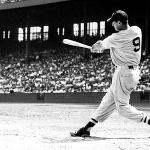 But in order for him to attain that “Highest of High” status, he needs to change one “little-thing” and one “Big-Thing.” — his Batting Stance and his Stride. 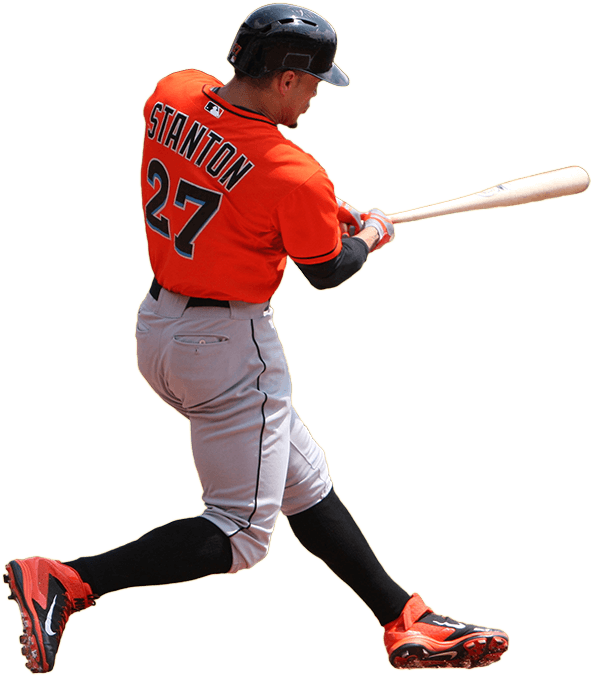 His Stance is a little-thing that facilitates the Big-Thing as you will notice below — His zig-zag Stride toward the plate, and away. Watch the horizontal and vertical movement of head and eyes. 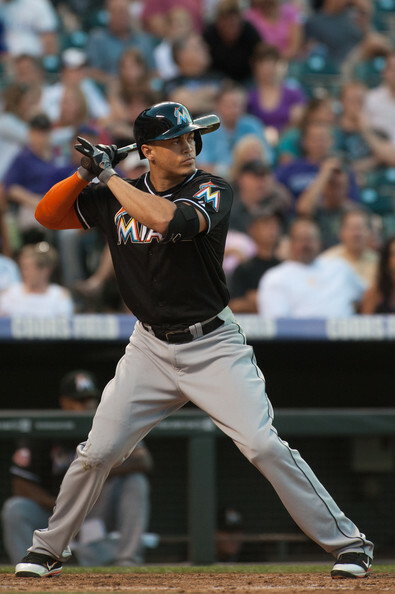 In the picture to the left, his hands and stance are lower, providing a lower center of gravity and faster reaction time. 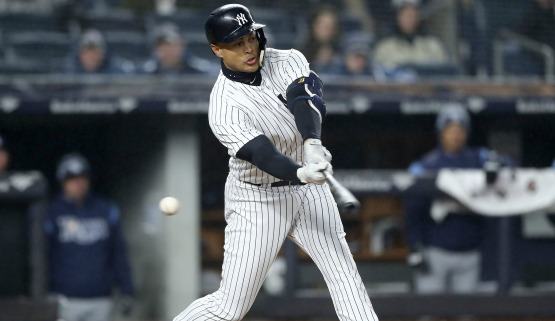 But his zig-zag stride to and away from the plate not only presents visual distortion, jeopardizes his front foot plate to possible injury, but makes him vulnerable to hard breaking pitches moving away from him. 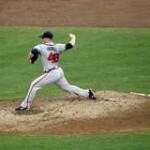 The inside fastball (in view) is right in his “Wheel-House,” and a pitch all pitchers should avoid throwing to him. Because of his “indirect-elliptical” stride, his body tends to drift left, creating difficulty for swinging structurally at fastballs and breaking pitches away. But even then, his uncommon power and fluid mechanics often has him “smelling like a rose” – but on an inconsistent basis. A procedure he could use, if he doesn’t know how to get his body in a “no-stride” position, is to pretend the pitcher has thrown the ball, stride normally, then hold that position until the pitcher actually does throw the ball — then wait, gather, press down on the front foot, and rotate hips, shoulders, arms and bat through the ball as usual, but without the frantic, cumbersome, and useless accompaniment of the “stride. 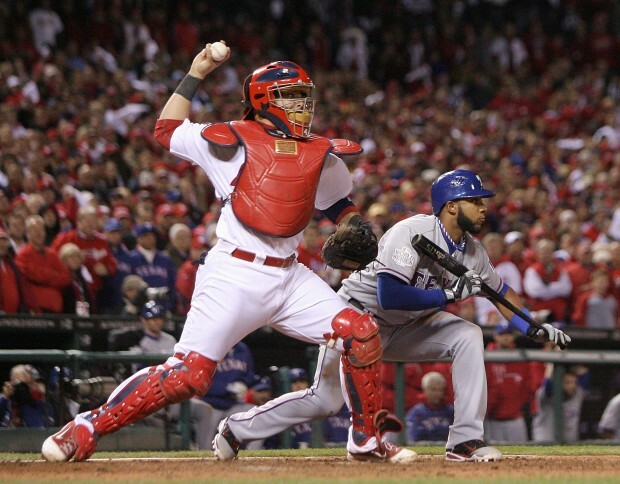 From the “no-stride position, he should not have his front foot pointed at home-plate, but rather pointed 120 degrees toward the pitcher to assure more stability as the swing is proceeding, to avoid turning the ankle. 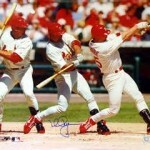 Like Williams, DiMaggio, and other “smart” hitters! Human bodies are not stick figures, animated without rhythm and reason. 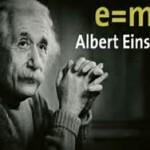 They are characters whose minds think and move them in more than one dimension to incorporate and facilitate function. Things contrived are never really simple; but knowledge of the intricate, and the understanding of elements that sustain a natural order, make it possible to simplify/clarify that which appears complex/difficult. 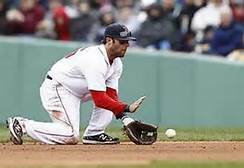 The Principle of Fielding is intended to awaken in every advocate of the game an easy and simple means to facilitate the proper mechanics necessary to improve his/her play. Simplicity is the integration and coordination of life’s infinite array of variables within the realm of understanding. 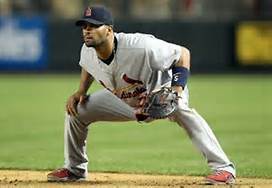 By gaining an understanding of the minute details of the specific movements involved in the specialized aspects of “fielding,” an amateur athlete can gain a greater appreciation for what it takes to possibly emulate the performances of an outstanding player. 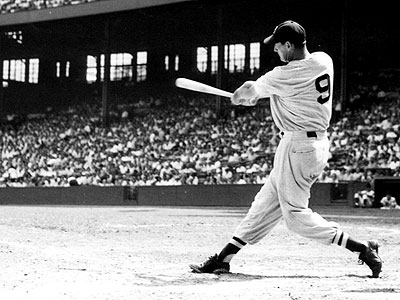 The only way to describe the best of ball-players at his position is that “he makes it look simple.” Although it is not really simple, abiding by a strict discipline of simple mechanics, the best players have perfected the techniques for their particular positions through arduous, repetitive labor, from which the human physical endeavor eventually appears effortless and instinctive. What type of player plays in the outfield? 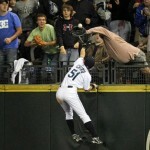 What are the qualifications for being a good outfielder? 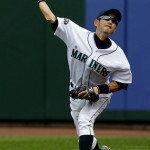 First, if a player is left-handed, and a fast runner, he/she is probably a good prospect for outfield! 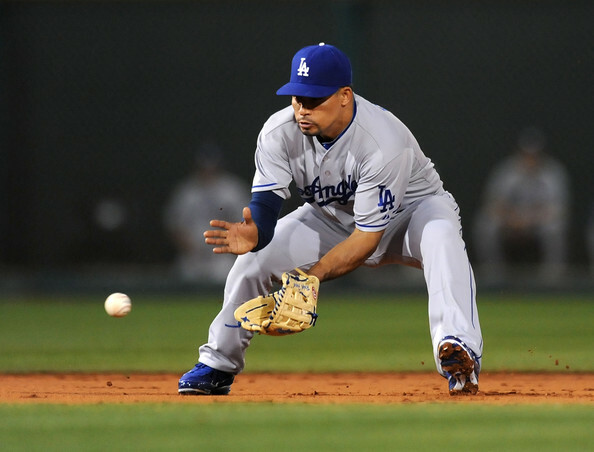 Fast, right-handed people are also good prospects for outfield positions; but they can also play infield. 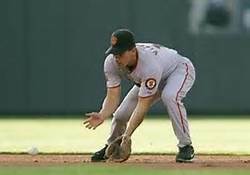 You don’t usually want to “waste” a speedy person at First Base, unless he has extraordinary skill there, or limited throwing capacity. 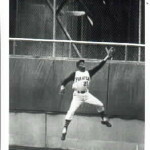 An outfielder must be able to catch balls that are hit high in the air; and he must also catch them while he is running at full speed. 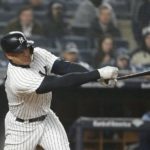 So, if a player is a fast runner, and can catch fly-balls and “line-drives” while running full speed, and has a “good-arm,” he has a chance to become a very good outfielder, maybe a great one. 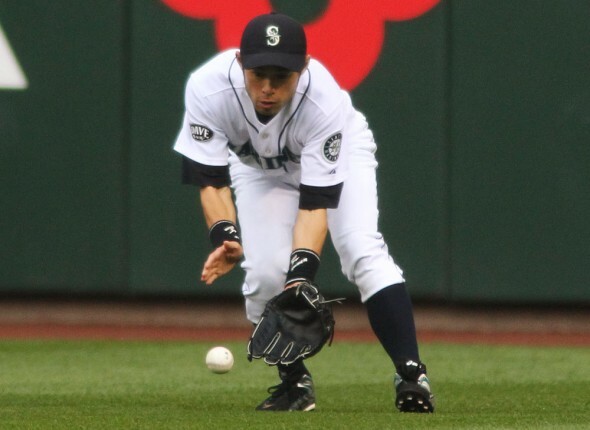 The Outfield can be a lonely, boring place for a mind that lacks a special creativity. 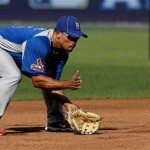 A player who always needs to be closer to the “action,” whose sense of alertness can be stimulated only by the prospect of imminent responsibility, would be better suited for “infield,” where fielding opportunities are more profuse. An outfielder doesn’t get that many chances during the course of a nine-inning game, so he can’t afford to miss “any” opportunity to help his team. 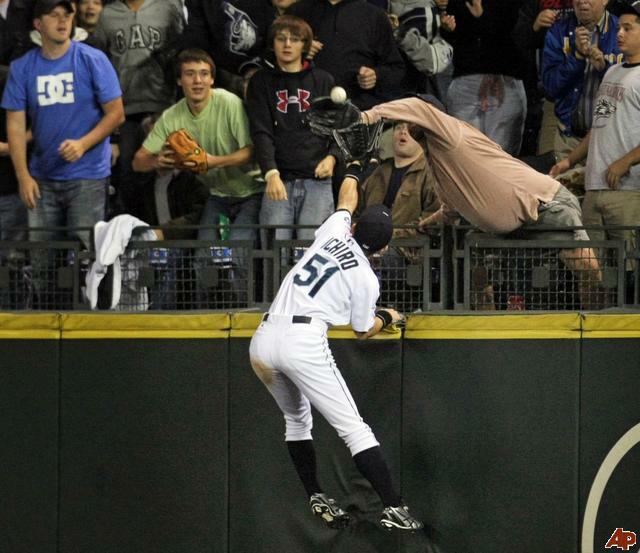 When a ball is hit to right field, most people would think that there wouldn’t be anything for the left-fielder to do in that situation. 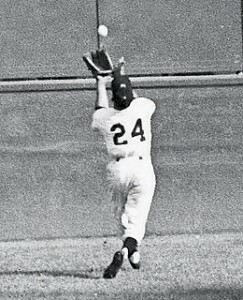 Even in a “Big-League” game, a spectator will very seldom see the left-fielder do anything, unless that fielder happens to be one of a small percentage of players classified as “a-great-one.” Then the observer will have the opportunity to witness the creative response that characterizes the unique attitude of a great outfielder. 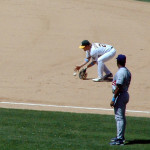 In anticipation of the slightest chance that a mishap could occur, the left-fielder races toward the infield and positions himself in line with the throw coming to second base from the right fielder. 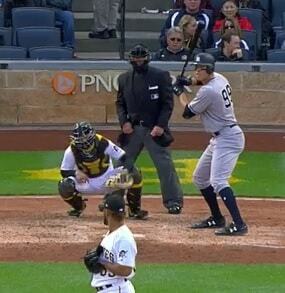 Maybe once in 200 chances will he be involved in an errant play, but he still responds in the same manner. 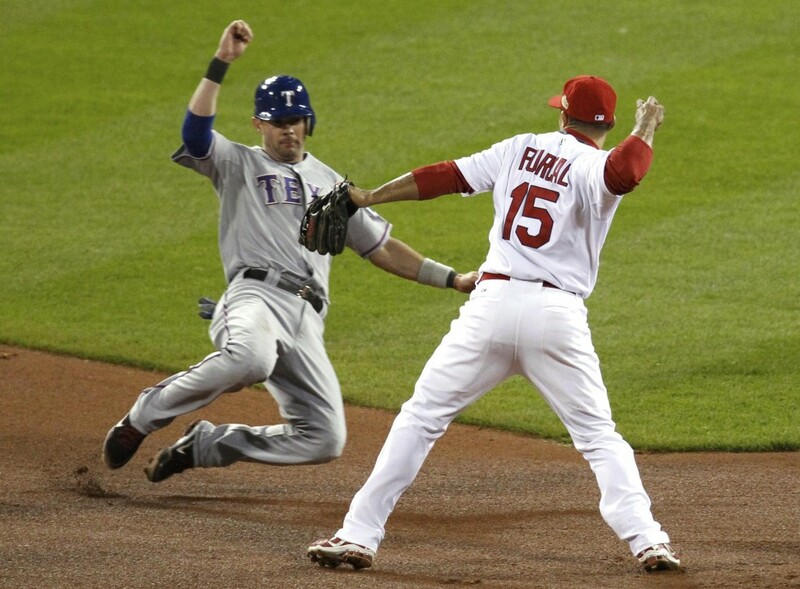 It would be unconscionable that a mishap should occur and he didn’t back-up the play. 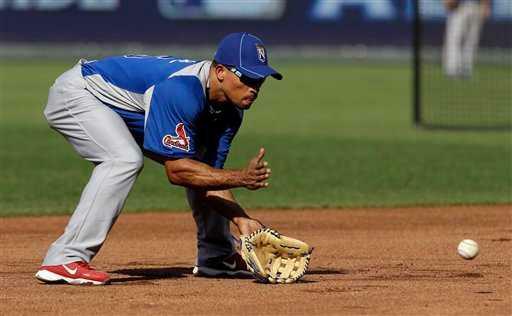 On every ground ball to third base or short-stop, the “great” right-fielder is always racing toward the first base dugout hoping to recover any errant throw that might get by the first base-man, to prevent an extra base for the runner. It doesn’t happen often, but when it does the “great one” is always ready. 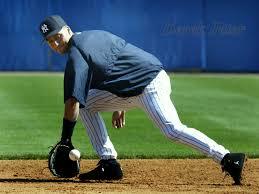 To the mind of every “great” outfielder there is something important to do on every play. 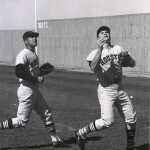 It has been witnessed that, on a drag bunt toward third base with a fast runner on first, while the first and third basemen were charging, and shortstop covering second, that an ever-hustling left-fielder sprinted to third base and received credit for a put-out on the runner racing around second to third base, thinking no one was covering the bag. 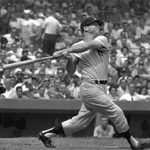 Anything can happen in Baseball, and the ever-thinking, creative mind of the “great” outfielder is always on the alert that “it” doesn’t happen “on his watch.” The baseball theatre is overflowing with dramatic possibilities for every situation. The “great” impresario of the outfield relishes in new and unrehearsed circumstances while the non-energetic “daisy-picker” wallows in the mental miasma of tacit mediocrity. Thus the outfield is only a dull place for the dull mind. 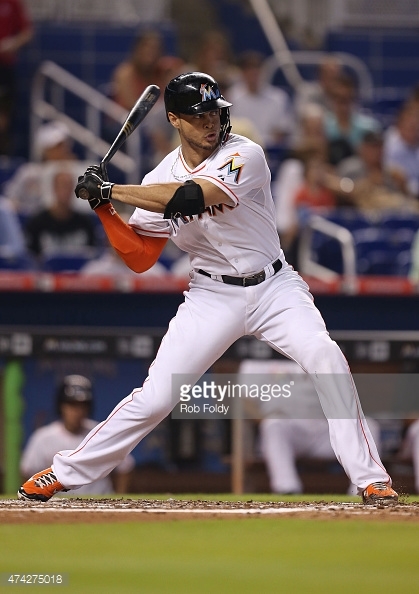 To reiterate, selflessness, high energy, and ingenuity characterize the excellent outfielder. Many are called, but few are chosen, or rather willing, to become supreme in that domain. Most would presume that all “that” work would have a detrimental effect on their hitting, so they opt to merely get the job done “well-enough” so as not to embarrass themselves. 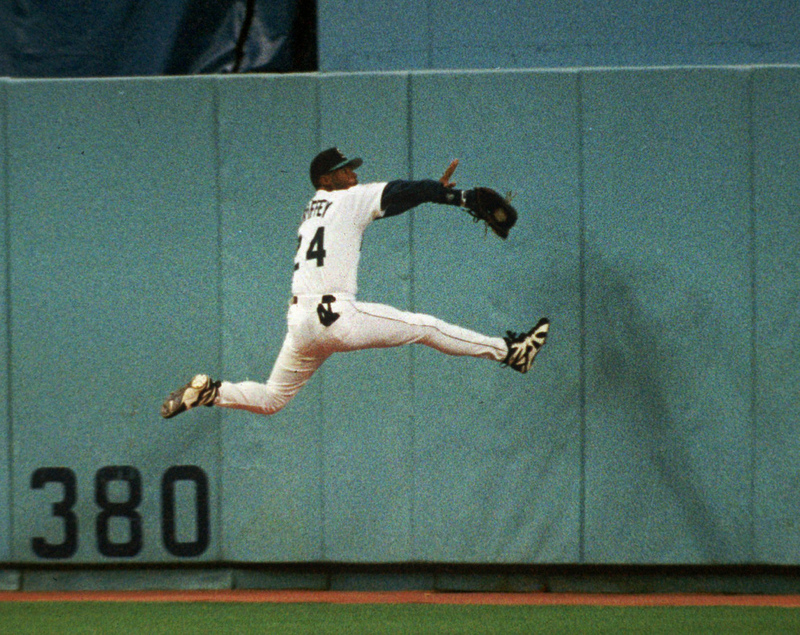 Every good team has at least one great outfielder. A great team usually has more. 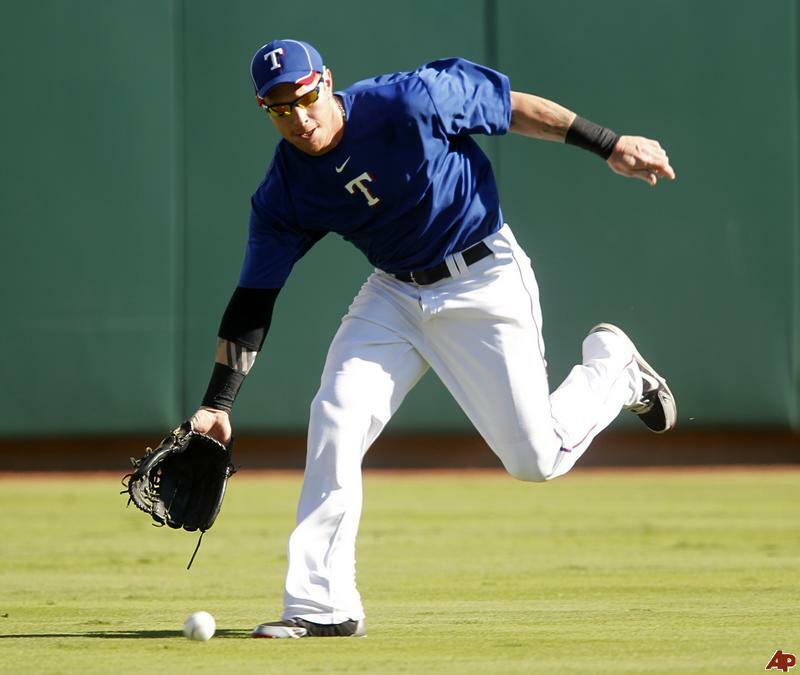 How and where does someone become a great outfielder? The only place to prepare to be “great” is on the practice field, both before the season begins and in pre-game batting practice during the season. Ideally the “Great One” had the good fortune of being trained properly from his youth by a knowledgeable coach. Rare! 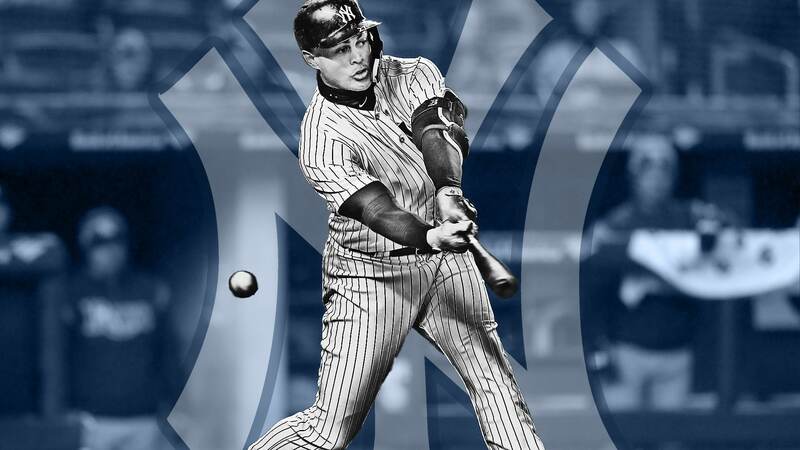 Although the primary tool to outfield greatness is one’s mental attitude, he still has to apply himself physically to accomplish the tasks for which he is acclaimed. 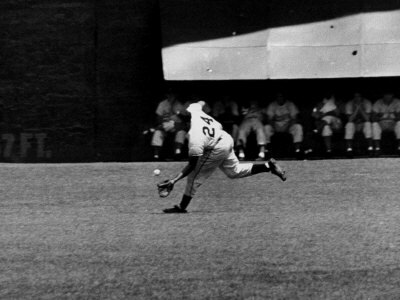 Two specific and crucial tasks that every outfielder tries to accomplish and for which the “great one” is most consistent in performing are: throwing out runners trying to advance to another base, and making the great running catch that everyone in the ball-park thought was a sure hit. 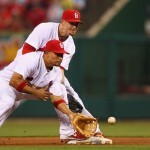 Both situations have a common element that all outfielders aspire to develop, but only the great ones seem to have perfected, that of getting the “jump on the ball.” Some of the fastest runners in Baseball could hardly be classified as “great ones” even though their speed certainly would have qualified them as eligible prospects. “The man who gets to the ball the fastest is not always the fastest runner.” Getting the “jump” is a skill that takes practice. The only way to perfect this sensitive skill is through patient and “perfect” practice. (You can’t do it by merely having someone hit “fungoes” to you.) 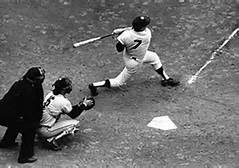 The prospective “great one” plays his position and fields balls off the bat that have been pitched, either in batting practice or in games. 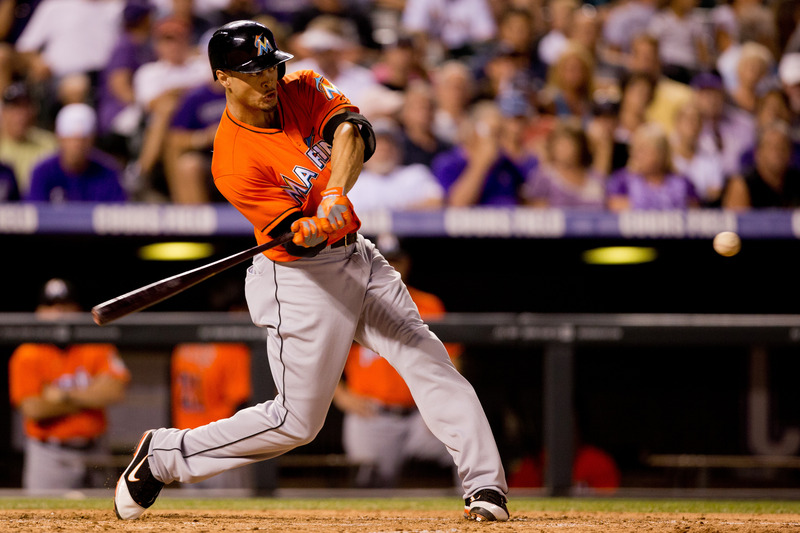 Batting practice allows for more chances in shorter time. 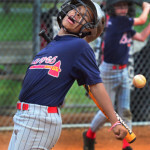 Simulated games allow for a truer sense of reaction to the pitch thrown and batter’s response. 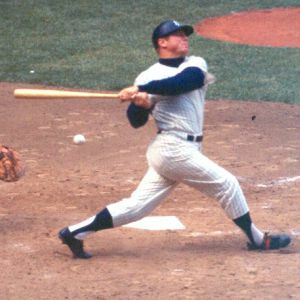 The most astute learner will apply himself with the same intensity in batting practice as in the game until this procedure becomes more than a continuous learning situation, but an established insight and infallible instinct. What exactly is “getting the jump on the ball”? The answer is, “. 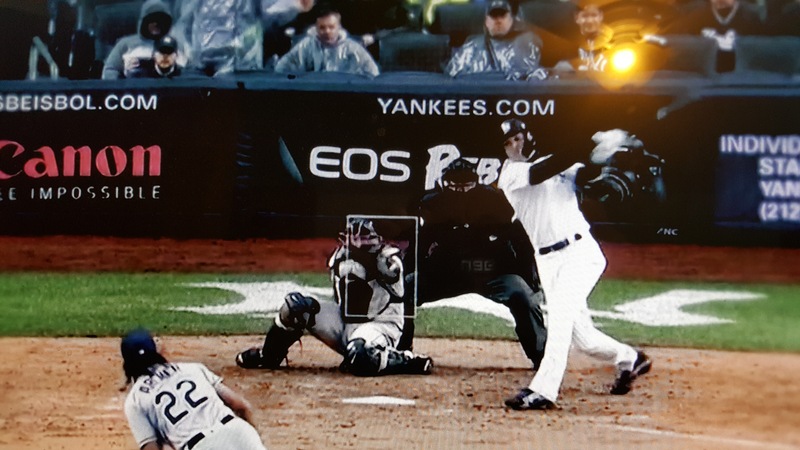 . . the quickest-possible physical response by the fielder to the ball hit off the bat.” Such response is heightened by the fielder’s pre-disposed ability to “read” the type and direction of the pitch as well as the disposition of the batter to hit such pitch. 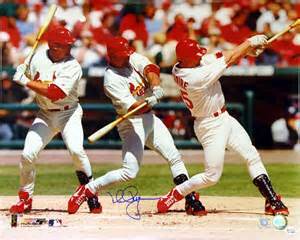 The greatest of the “great” have the uncanny knack for “taking off” seemingly before the ball is hit. 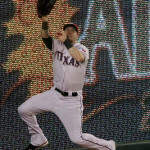 To catch the ball after having gotten the great jump is a marvelous feat to behold. 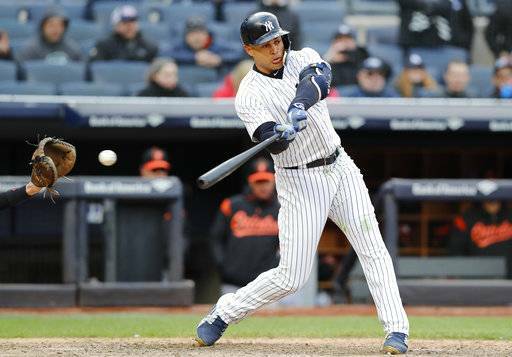 But the added dimension of running, catching, and then throwing a runner out at second, third, or home-plate livens any arena with gasps and exhilarating chants from awestruck fans and colleagues alike. 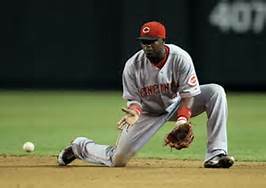 When a runner is safe or out “by a hair,” there is usually one reason, the outfielder did or did not get to the ball as fast as he could have. 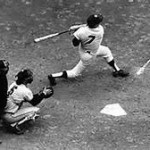 All things being equal (all outfielders having the same speed, strength and accuracy of arm), there is no doubt that the time in which the fielder got to the ball and scooped, positioned himself, and threw within the same continuous motion determined the outcome of the play. 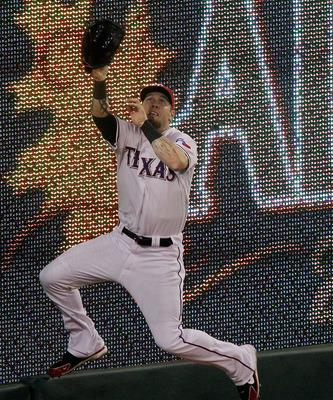 An outfielder is not born with this type of talent. He can only acquire it through hard work. 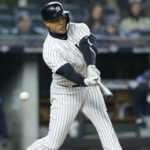 In batting practice and game-situations, he must vigorously approach every ball hit to him through the infield as one in which he “must” throw the runner out at the “plate.” He cannot practice starting fast then slowing down as he approaches the ball. Only “Perfect” practice makes “Perfect.” He must strive to attain the most proficient “knack” for “scooping” at full speed, then manipulate his body to be able to throw powerfully and accurately (he doesn’t have to throw the ball each time—just get the body in position to throw). 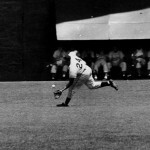 Half-hearted efforts will never help to attain the full status of “the great one.” It had been witnessed that a “once great” outfielder who, for all extensive purposes, had lost a major portion of his arm strength but was a master at charging ground balls hit through the infield with a runner at second base, was so adept at this facet of his trade that, since he was so close to the infield when he picked up the ball, no third base coach felt confident to send the runner, even though “they” all knew he couldn’t throw. 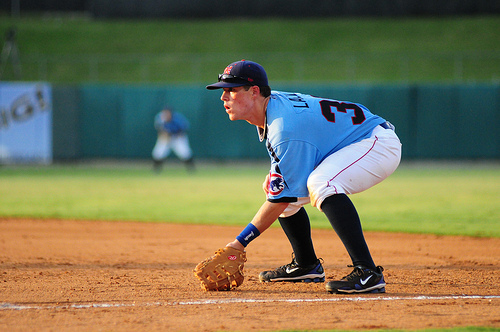 The beauty of Baseball is that anyone can develop any of the specific skills of the game through hard work. And mental adroitness can enhance the sense of greatness even in those individuals without the best of natural ability. For each of the preceding “field-designations” there can be listed specific categories about which certain techniques for applying skills are incorporated relative to the “position” at which the particular-player is performing his primary function. 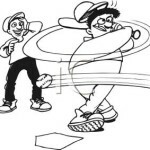 When a casual spectator wanders onto, or near, a “sandlot” field or park, and witnesses the action of a group of “ball-players” throwing a baseball, he doesn’t usually think too intensely on the proficiency level of those “throwers” of the ball. 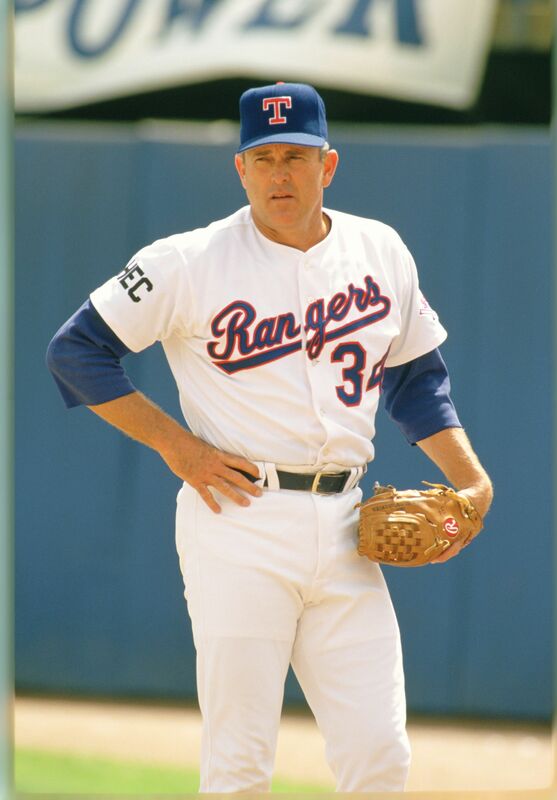 But an astute aficionado of the game of Baseball would surely recognize even the mechanical facilitation of a good throwing arm from a poor one, and the relative impact it would have at the fielding position of the thrower. 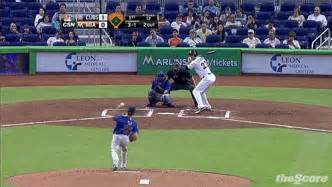 Each of the nine defensive positions on the baseball field has its own criterion for a range of competency to determine the proficiency of throwing effectiveness by those aspiring to maximum fielding prowess. 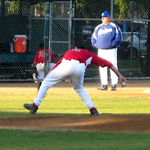 A player must be capable of throwing at least at the “minimum” range of competency, in order to marginally succeed at his given position. 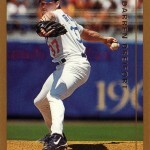 But what determines “full-competency” in throwing a baseball? 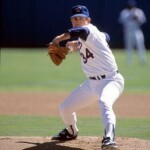 Beyond strength and natural ability, “mechanics” is the most crucial aspect for all the “field-designations” within the singular Field of Baseball (It is mechanical correctness that determines maximum proficiency for throwing [including Pitching], batting, fielding, as well as running – to attain one’s own best level). 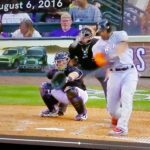 Mechanical understanding of how one’s body can be manipulated to exact the maximum force necessary to control the “throwing, batting, and fielding of the baseball with optimum efficiency and power should be foremost in the mind of any player desiring to achieve his own best effort. And, there are aspects of running that take into account the mechanical advantage that understanding, and application foster for those who would improve speed and agility. For the purpose of initiating discussion on implementation of a “rationale” for coaching and building a successful baseball team, let’s begin with the mechanical correctness in throwing a baseball. 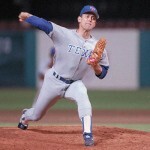 What is it that enables one individual to throw harder and farther than another? 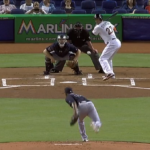 Are some people blessed with natural ability to throw better than others? It’s hard to say when and how an individual developed certain physical characteristics associated with strength, or whether he acquired some unusual pre-natal condition that facilitated an accentuated leverage point, to produce a greater aptitude for throwing! 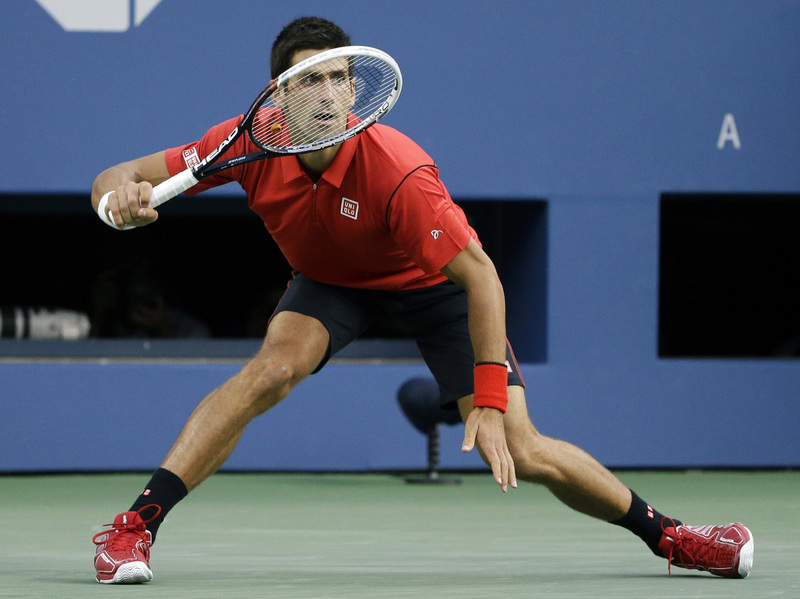 But two things are certain: it has been observed countless times, that the seemingly “gifted” athlete cannot reach his/her full potential unless the proper body-mechanics are employed; and the “not-so-gifted” sometimes attains a higher level of success with intellectual astuteness and the utilization of proper body-mechanics. 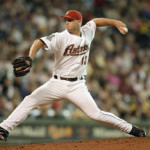 It is common to evaluate a player’s throwing ability by saying, “. . . he/she has a strong or weak arm.” It is incorrect, though, to assume that the power of the throw is determined by the strength of the arm. 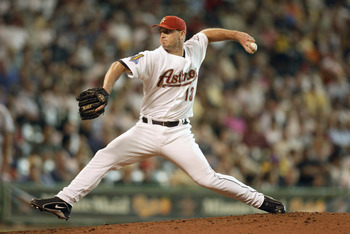 The main power source for throwing is the “Body.” The arm provides only a fraction of the power. 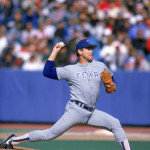 From the coordinated precision of the movement from the feet to legs, to hips, to torso, to shoulders, to arm(s), wrist, hand, and fingers is the ultimate power registered in the “perfect throw.” Obviously, the player with the stronger body and arm, who applies the mechanics perfectly, will be more effective than the weaker player. 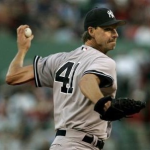 The stronger the body the greater the possibility for a strong throw, as long as the application of the proper mechanics for movement of shoulder(s) and arm come into play. Unfortunately, the stronger the body the greater is the vulnerability to injury of the shoulder and elbow if the application of proper mechanics is not enforced. 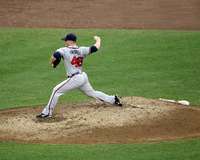 If the power generated by the body is complete, the torque action of the twisting hips and torso could be too great for a shoulder and arm ill-prepared to deliver the final dimension of the throw. If the shoulder is not locked into a position of stability, to launch the (bent) arm and that (5-ounce) ball forward at the precise time, the strain of having transported the spherical object from the point of origin to destination could have a deleterious effect on the accompanying extremities. 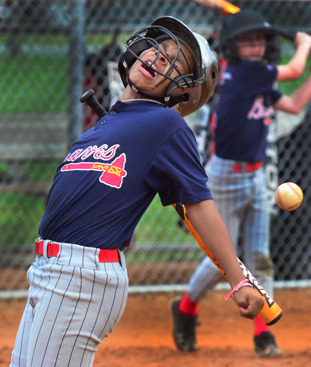 The weight of a 5-ounce object doesn’t seem like it should have any major effect on the throwing apparatus of a strong, well-conditioned athlete. But if you think about the strain one feels in his shoulders, while merely extending the arms outwardly, away from the body, and sustaining that position for a period of time, you could see how any additional weight would accentuate the strain. Even more stress would be added, if you realize the extra force exerted on “those joints,” by the weight of the moving arm and ball. “The farther the ball moves away from the body, as the arm is preparing to throw it, the heavier the weight will be to the strain of the shoulder (and elbow).” As the ball is being prepared for its launch from the thrower’s hand it should remain as close as possible to the “Body-Proper,” while the arm is “whipping” itself into the forward thrusting position. (Nolan Ryan and Tanaka are the best exponents of this “principle” as pitchers. 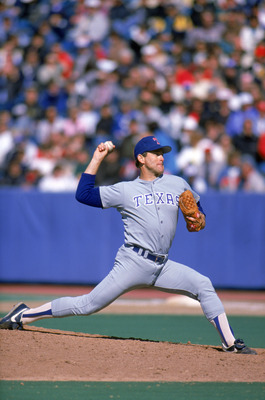 The coordinated action of the entire body (right and left sides) provides the power for the correct arm movements to occur rapidly (and safely), and thus sustain a whip-like action to move through the “throw” like a wave of tremendous force. The “Coach” at the lower levels (Sand-lots High School, and College) who aspires to lead a high-quality team must institute, establish, and reinforce a teaching/learning framework for individual development that includes a motivational apparatus for self-learning and graduated improvement. He can initiate this self-motivating course of action by first orienting his “students” in what Aristotle referred to in his Nichomachian Ethics. 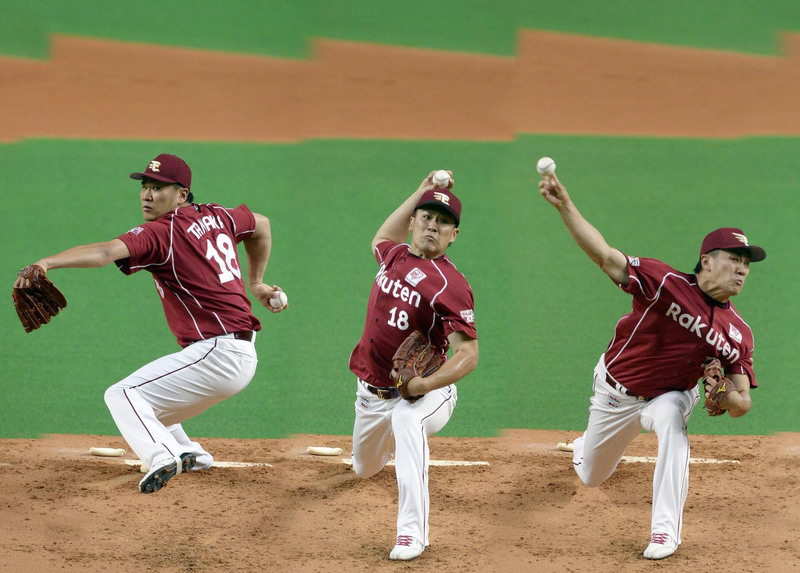 Is throwing a baseball composed of a generic component to which all prospective players could and should strictly adhere in order to properly promote the development of the correct mechanics? 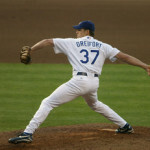 The most productive “throwers” of the ball, from each outfield and infield position, are they whose technique is almost identical in their respective positions (at least in the “Big-Leagues”). 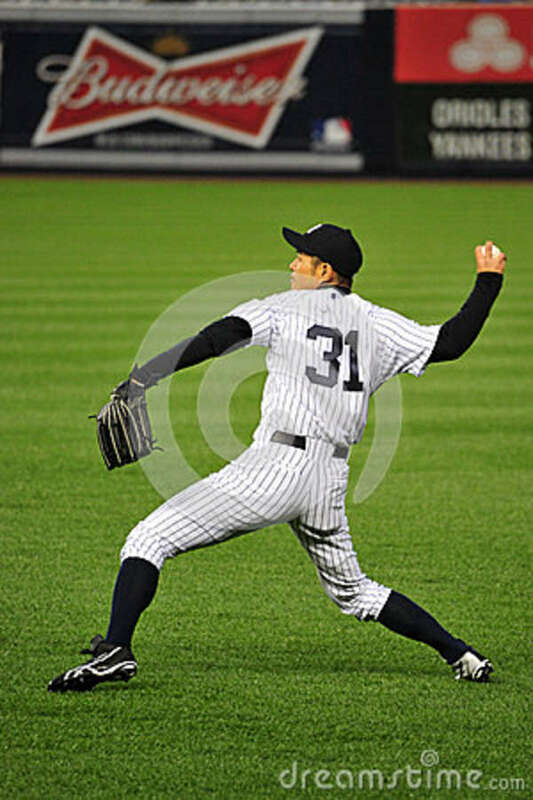 When an infielder is making his toughest play (one that entails his longest possible throw), he will instinctively position his body and administer his arm action in a manner similar to all Big-leaguers under similar circumstances. 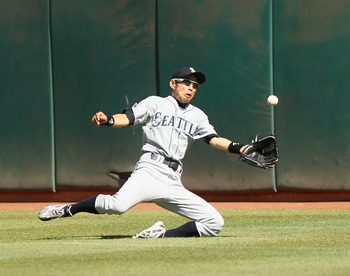 The most conclusive example of perfect proficiency in throwing from the outfield is that illustrated by Ichiro Suzuki in his “rookie-season” as the Mariners were playing the Oakland “A”s. 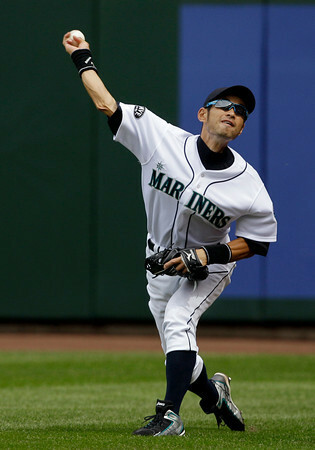 On a base hit to Right Field, a speedy runner from first was racing his way to what he thought was going to be an “easy safe at third.” Instead, because of the magnificent display of body-control and mechanical throwing efficiency, Ichiro “gunned-down” the exasperated runner with a perfectly straight, accurate, and powerful throw—the recounting of which has been displayed on T.V. Sports Stations and Videos ever since. 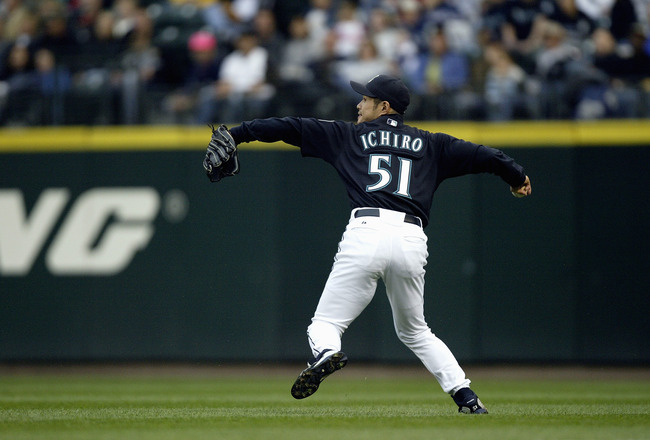 Speed of “range,” competency to receive, quickness to release, strength to deliver, and accuracy to direct the ball (to the intended base) are integral in determining the optimum effectiveness of the fielder – the latter three relative to the precise dynamics of throwing mechanics. 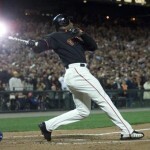 For a short-stop to make “that” throw from “deep-in-the-hole,” or an outfielder from right-field to third base, absolute, correct technique is mandatory. 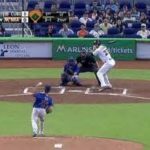 IF he doesn’t come up “throwing over the top,” but rather side-armed, the ball will likely not be there on time (unless for an extremely slow runner). The “closest distance between two points is a straight line.” Therefore, “over-the-top” will facilitate a straight line, while “side-armed” will produce a horizontal/vertical arc that will likely allow the runner to be safe! 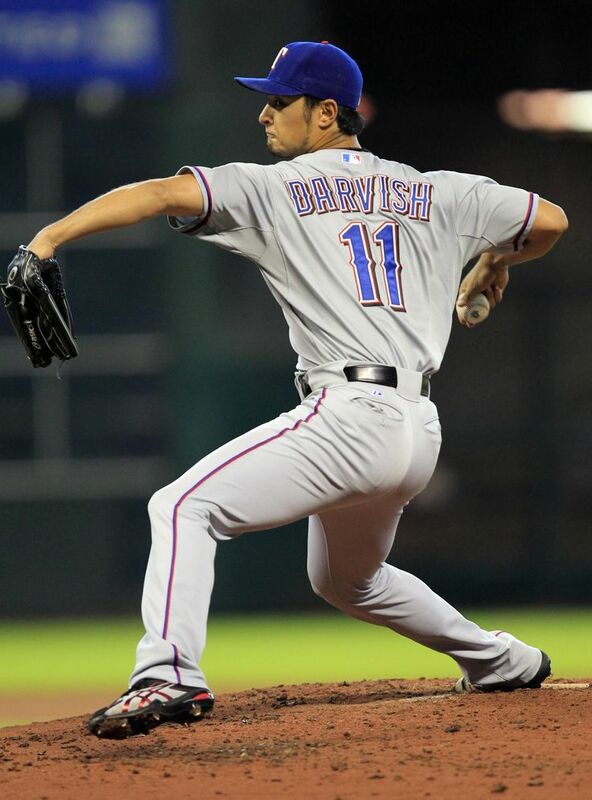 From a close distance, a short arc is acceptable only if the infielder has no other recourse when he’s charging a slow hit ball, but to throw immediately from below as his hand touches the ball. A coach who would portend to all his “students” that they are legitimate prospects with “Big-League” potential is more likely to get their full attention and cooperation to and with his deployment of a sound system of fundamental skill development than would a coach whose motivating proficiency will leave some without hope and willingness to aspire to any high level. Too many players at the High School and College levels “Know” that they have “no chance” of becoming a “Big-Leaguer,” so why are they even on the team? Most often it is because they have always been “pretty-good,” but either never had a “good-coach” to correct their “mechanical deficiencies,” or they were too stubborn to listen to that “good-coach.” Consequently, some coaches of mediocre teams have “stock-piles” of unmotivated students whose lack-luster performances are due to the fact that they cannot put their hearts and souls into what seem like nothing more than “High-School-Harry” heroics with merely a varsity letter for which to look forward. In College the only difference is that some of the recruited High School “Blue-chippers” who turned down modest “Bonus-Money” from professional organizations are again the ones blatantly catered to with “pompous” disregard for fringe players who languish in virtual obscurity, left with only the “fallen scraps” from their masters’ table. Once in a while a “gutsy” individual is able to take advantage of limited opportunities and builds his own “resume” of consistent, team-oriented success until he proves to be “no-fluke,” and subsequently rises above the “crème of the crop” and provides a legacy to himself. But he probably would have had to do it himself. The Best of coaches is he who does not “Cater” to “any one,” but rather to the collective sense of team-oriented “individual” development for all. In most (if not all) High School Programs, there is not found a single individual who looks the part of “Big-League” player when he is playing catch to warm-up before practice or game. 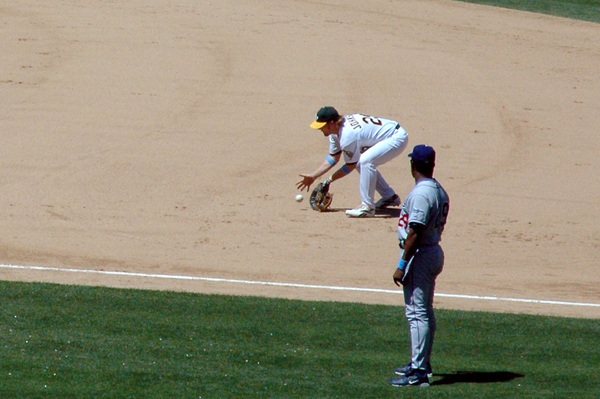 Before each inning, while fielding ground balls from the first base-man, hardly ever is the infielder simulating the movement and throws of the professional ball-player. 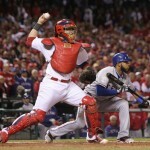 All because he doesn’t have a clear picture of a “Big-leaguer” in his mind! A requirement for all prospective “super-stars” of the “Game” should be to sit-and-watch at least parts of two “big-league” games a week. “The-Coach” can easily tell who would be the dedicated players on his team! Some prospective players that I have encountered never watch baseball games, on T.V. 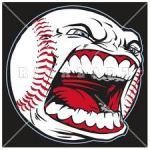 or at the ball-park, yet they want me to help them become “good” ball-players! What or who is their “reference point”? The “good” coach excites all of his players with the prospect of each becoming a star-performer. Their individual drive and determination to be the best they can be, and their innate capacity to develop, along incremental lines of progress, those skills necessary to emulate the “greatest” of players at each his own position, challenges themselves to methodically and arduously simulate every action of that “big-leaguer.” And he and his partner will warm-up at practice, before a game, and in-between-innings in similar fashion. Eventually, the positive “germinating” effect will “kick-in” and he, like a “body-builder” faithfully following his daily-regimented routine, will one day recognize a noticeably enhanced characteristic-attribution. The ultimate goal in the mind of the “great” Coach would be to establish a realistic sense of “Sameness,” the spiritual essence of which proves the “Truth of Harmony’s Perfect Oneness.” In Spirit we are all the same; the differences in form would be insignificant because they conceal the sameness of content that is found in everyone’s mind. But, in what would be considered the “present sense” of things, certain individuals seem advanced beyond their teammates, therefore putting themselves in the more noticeable positions of prominence in regard to garnering the more “prestigious” assignments in the field (as well as batting). Those players currently mired in the mediocre stages of development, if faithful (as a “mustard-seed”) to the course of action that soundly promotes a genuine enhancement of technique, will soon supersede their present ineptness with graduating states of comprehensible prowess. 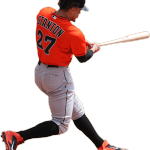 You must envision for yourself all the attributes of a “big-league” player, even though those traits are not yet evident to “outside” observation. You might arduously, but hopefully, put forth a “heart and soul” effort to fulfill the destiny of your inner reality with “perfect-practice.” Then, you cannot help but raise yourself to new and greater heights of glory. The student who has the dedication and yearning to be the best he can be will gain respect for his uncommon “work-ethic,” but he will not be congratulated, acclaimed, and rewarded unless he “proves his worth.” The Coach can be his “way-shower” and gently guide him along the “Path to Stardom,” but cannot do the work for him. The coach cannot always tell him every little thing to do. After his initial indoctrination into the “Art and Science” of “Perfect Practice,” it is up to the student to take the initiative to strengthen and perfect his “enterprise” with tirelessness and consistency as well as his own creative ingenuity. The coach may provide venues for promoting individual growth and development, but since there is no limit to what one’s mind can imagine, the student is invited to think “outside the box” and supersede even his Hero’s or his Coach’s expectations. In Baseball, “Size” is not the determining factor for the success of an individual, whether for throwing or hitting a baseball. 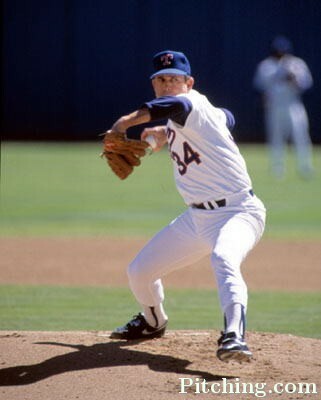 It is not a freak accident that Pitchers like 5 foot 8 and 9 inch Billy Wagner and Craig Kimbrel throw the ball as hard as 6 foot 3 inch and 6 foot 10 inch Nolan Ryan and Randy Johnson . 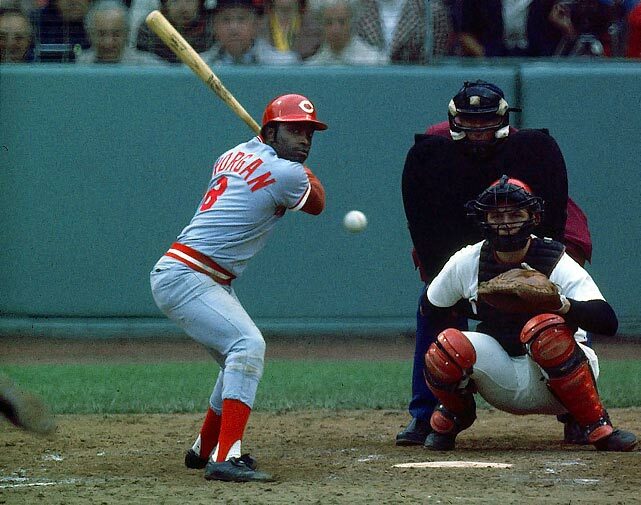 And 5 foot 8 inch Joe Morgan and Jimmy Wynn could hit balls as far as guys almost twice their size. 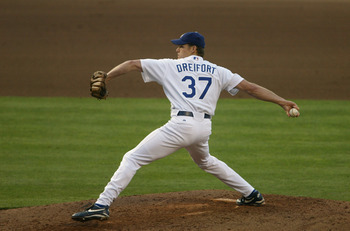 Aside from the apparent size differential, the four pitchers mentioned above have one thing in common: When they begin their power thrust with the turning upper body (including the shoulder and arm) after the bent legs have initiated the power drive of the twisting hips, the throwing arm has already been locked into place at a position of at least 90 degrees. This, in order to assure the fastest possible forward rotation of the shoulder to allow a quick moving arm to assist the wrist, hand, and fingers to propel the ball at maximum speed! 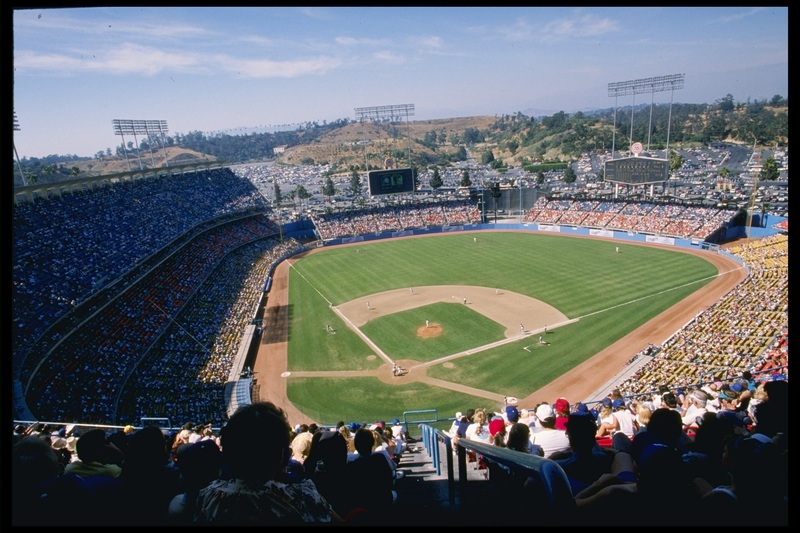 It is widely accepted, from the “Big-Leagues” to “Sandlots,” that on the Infield the Third Base-men and Short-stops (I wonder how they got that name?) 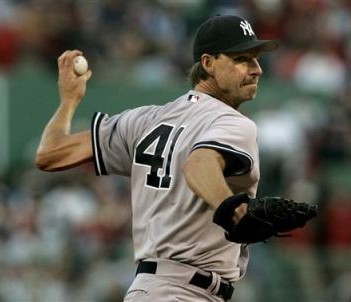 have to have the stronger arms because of the longer distance they most often throw the ball. 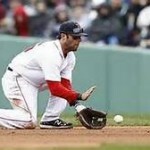 Second Base-men and First Base-men don’t usually have to make as long a throw. 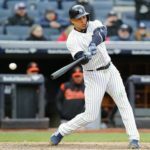 But, obviously, it is to a Team’s best interest to have good – arms at all infield positions because of the few (and sometimes critical) times when a strong throw could mean the difference in a “safe” or “out,” win or loss. 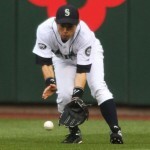 In the Outfield, the Center-fielder and Right-fielder usually have more long throws than the left fielder. 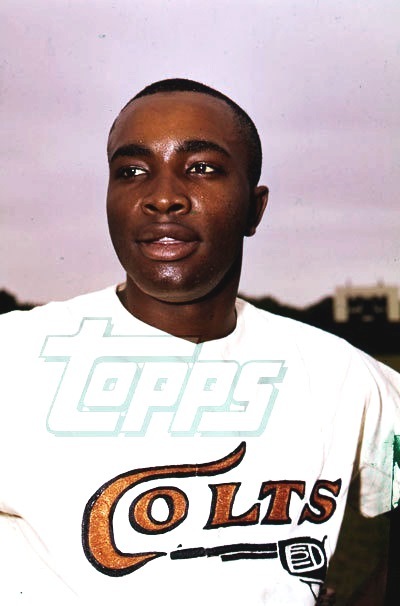 But the best possible outfield would be comprised of equal arm-strength for the same obvious reasons as well as to be able to inter-change positions at any time. 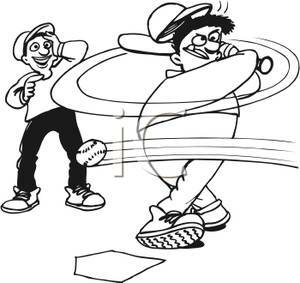 All mental facility and “character” being equal, the “Unified Field Theory-Experience” as applied to Baseball Throwing would essentially mean that all players in all 9 defensive positions would have the “same” ultimate power and accuracy in their throws. 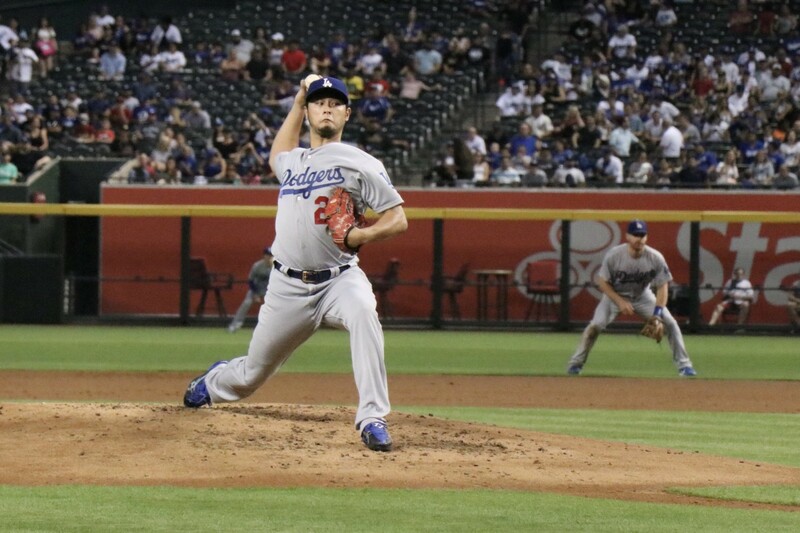 No matter what their respective sizes are, maximum efficiency is based primarily on equal understanding and application of the principle of the “infallibly scientific art” of correct throwing mechanics. This phenomenon, if feasible, would be a comforting delight for any manager or team, for the prospect of interchangeable parts could be practically beneficial. 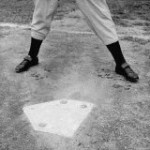 However, the arena in which more differentiation of skill is noticeable is in the “designation” of “Fielding.” If all the players on a team could throw equally well, that condition may not necessarily transfer over to the “Art of Fielding,” either in the infield or the outfield. There have been infielders who began their Big-Leagues careers playing Short-stop (like Robin Yount), then moved to Center-field. 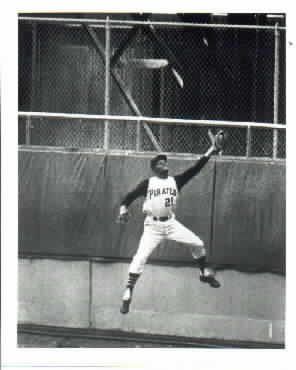 And Center-fielders (like Bill Russell) who moved to Short-stop! 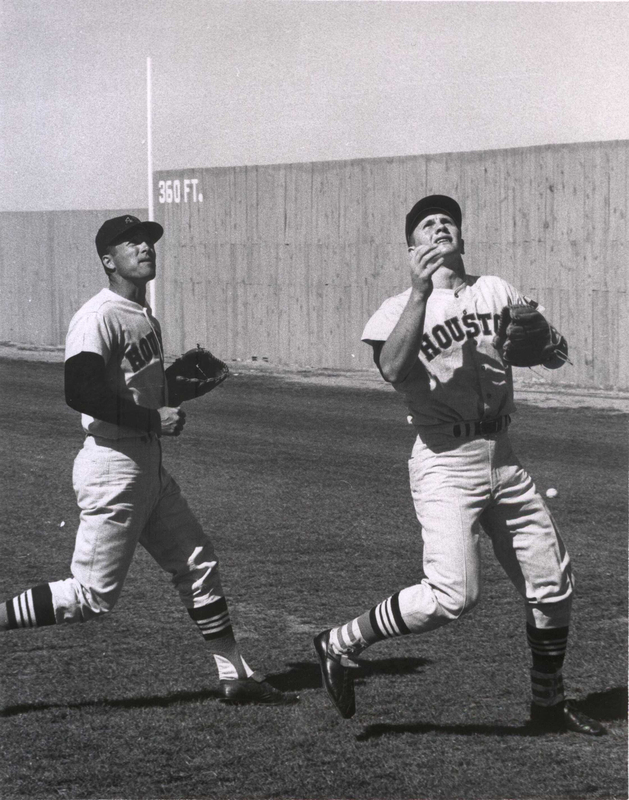 Catchers (like Troy Percival and Jason Mott) who became Pitchers, while a catcher (like Craig Biggio) became an All-Star Outfielder and Second Base-man. 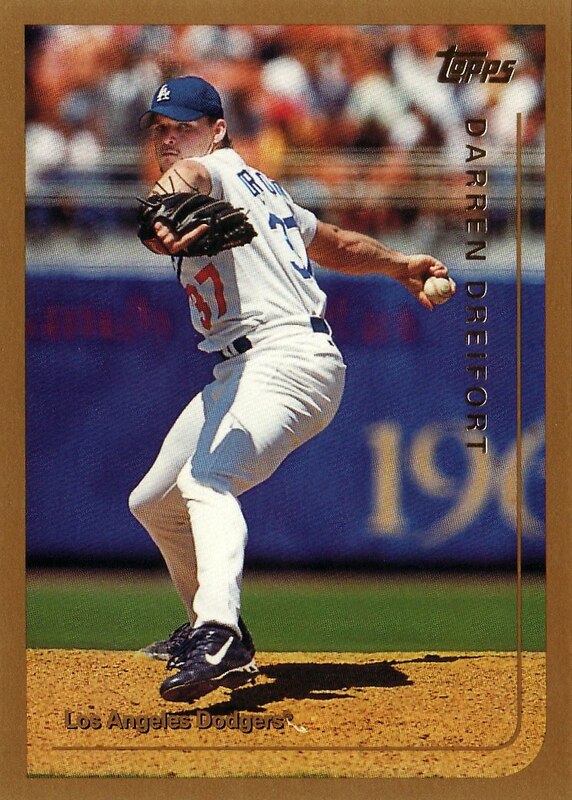 Correct throwing mechanics (as well as batting skills in some cases) kept them “in the game” until they found the position best suited for them. Now, is there a “generic” component that would foster the development of all prospective team players to be equally adept in “fielding” all positions with the “same” proficiency? In Physics, a unified field theory is a type of “field” (an imagined “ideal”) that would allow all that are usually thought of as separate fundamental forces and elementary particles to be written or applied in terms of a single field and to ultimate into a “unified-equal- experience.” There is currently neither an accepted unified field theory nor its ultimate practical counterpart, and thus it remains an open line of research. 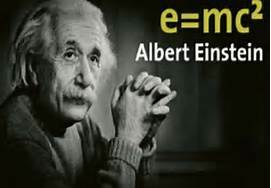 The term “unified field” theory was coined by Einstein, who attempted to unify the Theory of General Relativity with Electromagnetism which in turn would proceed to the incorporation of four seemingly distinct forces into One: “strong interaction, weak interaction, electromagnetic interaction, and gravitational interaction,” and eventually provide a practical application. A more “spiritualized” slant would not be dissimilar to the relationship of Adhesion, Cohesion, and the Law of Attraction and their practical application to enhanced needs. The ultimate metaphysical example is “Atonement” or the underlying, substantive unity of all things animate and inanimate, seen and unseen, of and from which casual worldly perception falls short of discernment. Physical Science would denote that “the whole is equal to the sum of its parts.” But the essence of metaphysically inspired thought would more than imply that “the Whole (Oneness) is greater than the sum of individual parts.”From a “material-basis” it is impossible to form a cogent, unified theory from which to incorporate a singular harmonious effect because it appears that innumerable causes are influencing each other in contradictory ways to effect conflicting purposes. Most notable in our “common” sense of universal acceptance is the stoic indifference to a seemingly inherent Competitive nature whose only glory comes from someone winning while another loses – in Athletics as well as in War, and oft-times in common Human relationships! If it were up Rumi, a 13th Century Persian Mystic-Poet, “there can be no winner unless everyone wins.” Rumi implies that, in all of life’s “competitive” encounters, there is a viable alternative to the traditional conclusion that someone wins while another loses. His conclusion was that no one really wins unless everyone wins. A Course in Miracles would enhance that idea with, “No-one goes to Heaven alone – everyone goes together.” Enhanced even farther through Abraham – Hicks and the Law of Attraction, “Everyone’s ‘inner-being’ is Now and Always already in the non-competitive environment of Heaven’s Vortex, but most are unaware of it.” So, it would behoove everyone in our present “relative” state of existence to provide for the winning environment from and in which each and all can experience the inherent fairness acceptable to the all-encompassing Game of Life. On a Universal level, all the components that make up the Whole physical world are the constituents in varying degrees of evolution, and are derived from a Source completely “non-physical,” but none-the-less whose essence projects and extends Its Intent for Infinite expansion into perpetuity. And in modest micro-cosmic order, the body of that which is identified as man is a singular “unit” of function, but composed of trillions of individual cells whose harmonious vibrational unity and cohabitation affects the optimal functionality of the entire organism. And what is it that determines the common frequency of vibrational communication within the cellular network to assure the Organism of perfect health and functionality but a seemingly “remote” and intangible Source from whose infallible intelligence can best direct and control the operation of life with inexhaustible and impeccable precision. All the seemingly conflicting forces predicate their individual successes on separate and independent interests. Is there any “single” entity, whose ultimate and universal pursuit of “excellence,” could/would incorporate all the separate and distinct facets of “Being” into a legitimate and recognizable configuration of “sameness,” and ameliorate all sense of contradiction and conflict? Only the unadulterated essence of “Spirit” and Its own universal application of “goodness” has the inherent capacity for lawful exercise of Truth in a world seeking solutions of/with/for peace. Coming Soon: Throwing a Baseball. The following is an excerpt from Chapter 40 of my new Book, If I Knew Then What I Know Now. 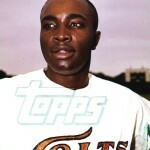 It depicts a 1964 Spring Training game, Houston Colt .45s vs. the New York Yankees at Fort Lauderdale, Florida. It was going to be a long ride, so I found a couple of baseball magazines to read during the trip. 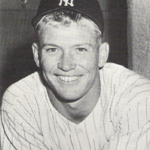 The cover picture on one had a photograph of a powerful-looking Mickey Mantle , from the 1950s. There were more pictures inside, but I would wait until I was on the bus before viewing them. That was thoughtful! I figured I’d probably be hungry about 11:00 am. Bus travel in the big leagues was great, even in spring training. Nice, comfortable seats on a luxury Greyhound sure was better than minor-league transportation. Since I was earlier than most onto the bus, I sat in the middle and was hoping no one would care to sit with me. Only twenty players were traveling, so most players had private seats. A few “buddies” wanted to sit together. The bus left at exactly nine thirty. 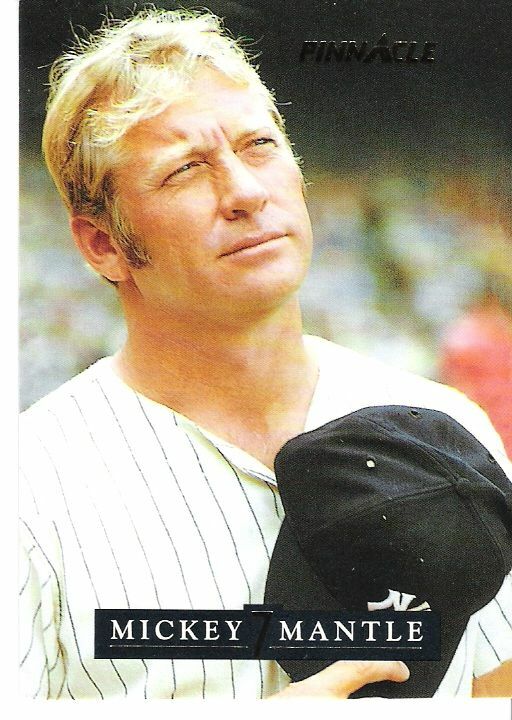 After doing a little “deep breathing” and entertaining some quiet thoughts about today’s game, and seeing “The Mick” for the first time, I began looking at the magazine I brought along. Page after page featured Mickey swinging! 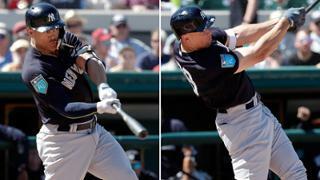 All the swings looked good, but some pictures caught “the Mick” either missing the ball or fouling it off. 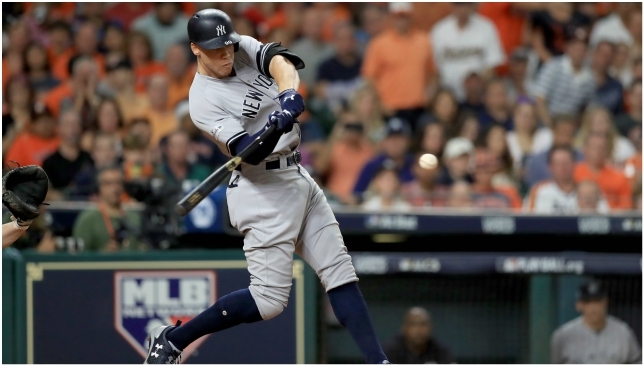 A few of the photographs depicted what I would consider a perfect swing, at the “contact point” and at the end of his “follow-through.” From those images, it is easy to feel as though he might be the most powerful hitter in baseball. From the start of his “gathering,” his front shoulder was wrapped around his chin , and his rounded back looked as if it would supply the maximum leverage to accommodate fast and powerful muscular contractions to facilitate the turning action of the upper body through the swing. 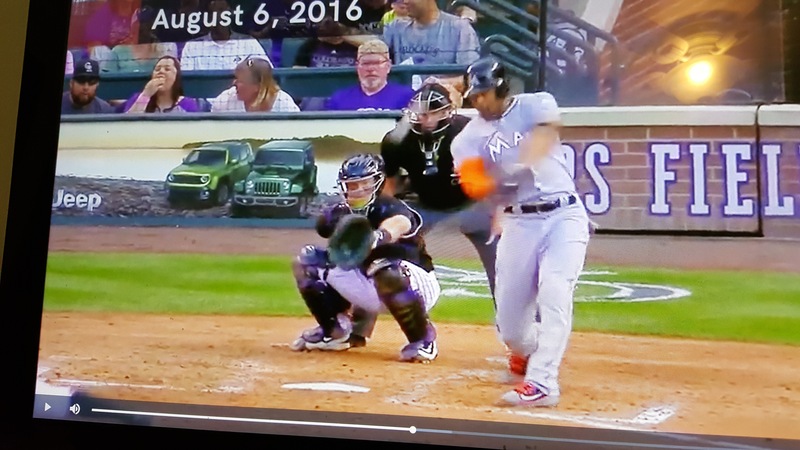 At the contact point , every part of his body was in order: bent back knee driving the back hip forward with perfect horizontal balance with the front hip. 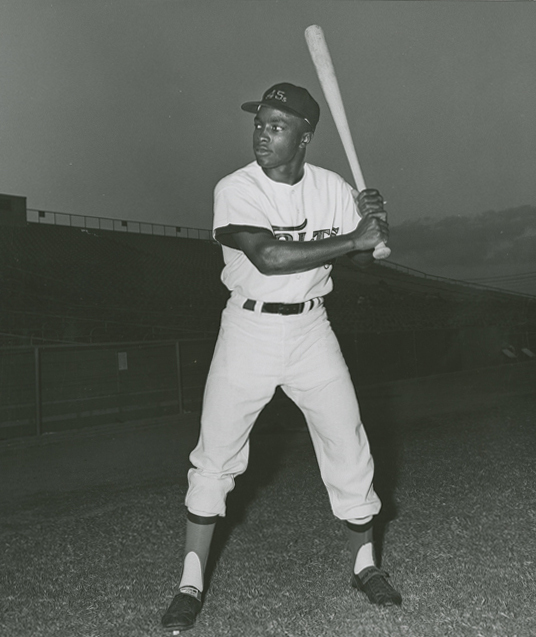 His front shoulder “shrugged” to allow a natural upward tilt to the angle of his bat; front leg straightened with ideal foot-plant (foot, at a 120-degree angle to the pitcher); and an uncommonly well-balanced follow-through. 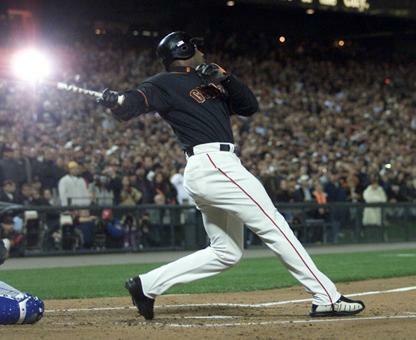 His swing not only depicted a perfectly aligned “vertical axis” but a concentrated momentum flow of his hips and shoulders that only further attributed to his incredible flexibility and power. 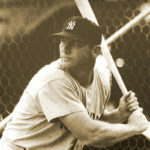 I had heard that, before the 1951 baseball season had begun, the Yankees were spring training in Arizona. 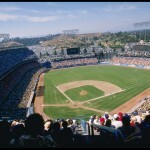 On a trip to the University of Southern California, they played a few games on the University’s baseball field. 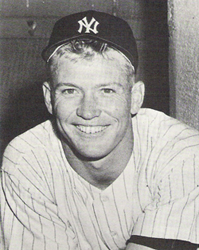 Nineteen-year-old Mantle was reported to have hit a right-handed home run 600 feet. 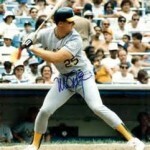 Then in a subsequent at bat, he hit one, left-handed, the distance of 650 feet. I had always thought that people were exaggerating, even when more than one reliable source marked off the distance . 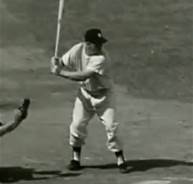 But after studying the “mechanics” of his swing and calculating the efficiency of his fluid body and range of motion, I realized that if anyone could have done it, it would be “The Mick,” even with his weighing just 185 lbs. 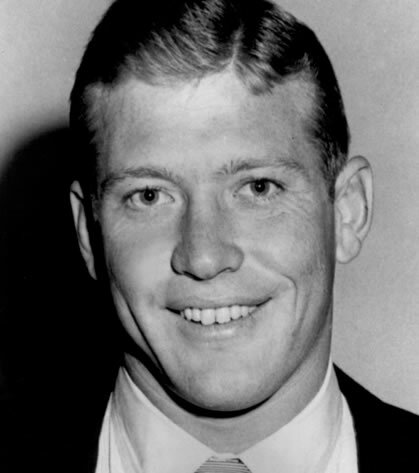 Looking at Mantle in “street clothes,” I would have to say that he was the most naturally photogenic man I’d ever seen. He looked good in everything. His head, his face, every part of his body seemed perfectly proportioned. 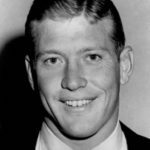 He certainly was the “all-American boy,” and most sports fans saw him that way. Too bad he was injured so much. “Bussie” was really rolling down the highway! We made it to Fort Lauderdale by eleven forty-five. I ate most of my roast beef and Swiss cheese sandwich by eleven o’clock. So after a restroom break, I was ready to play. 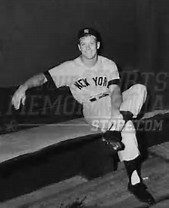 When I walked onto the field, I was hoping to see Maris and “the Mick,” at least sitting in the third base dugout. The Yankees finished their pregame workout ten minutes earlier and wouldn’t be out until right before warming up again for the game. I thought I’d better go out to left field and see if there were any peculiarities I should be aware of. Everything was fine. The sun might be difficult only when I go to my right. Rusty will be looking right into it later in the game. 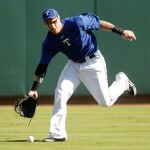 After throwing a little with Rusty, we took infield/outfield practice and were ready to start. 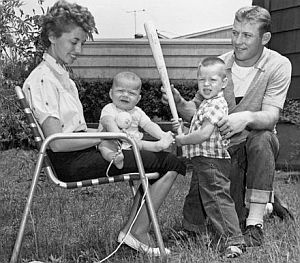 The Yankee lineup did include Maris and Mantle. 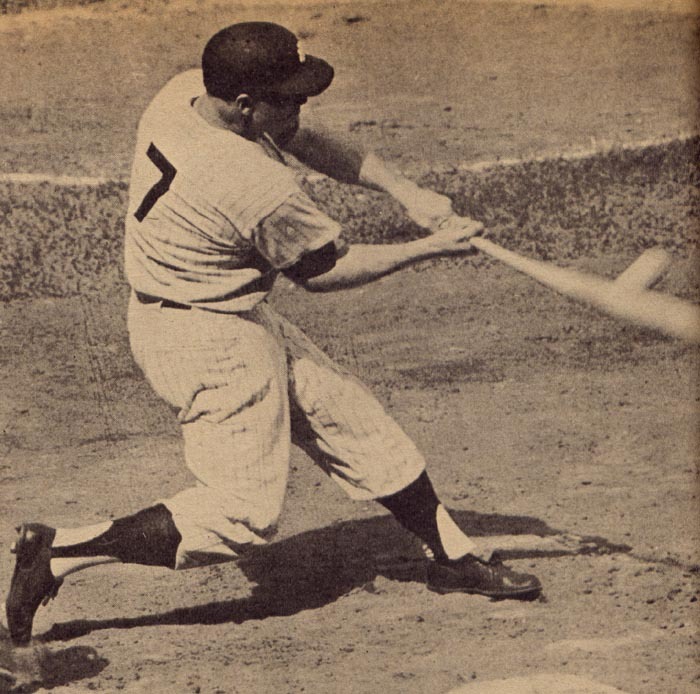 Maris was hitting third, and Mickey was “cleanup,” followed by Tom Tresh, Joe Pepitone, Elston Howard, Clete Boyer, and Whitey Ford. 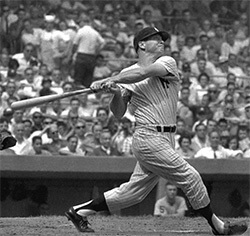 Phil Linz and Bobby Richardson were batting in front of Maris. 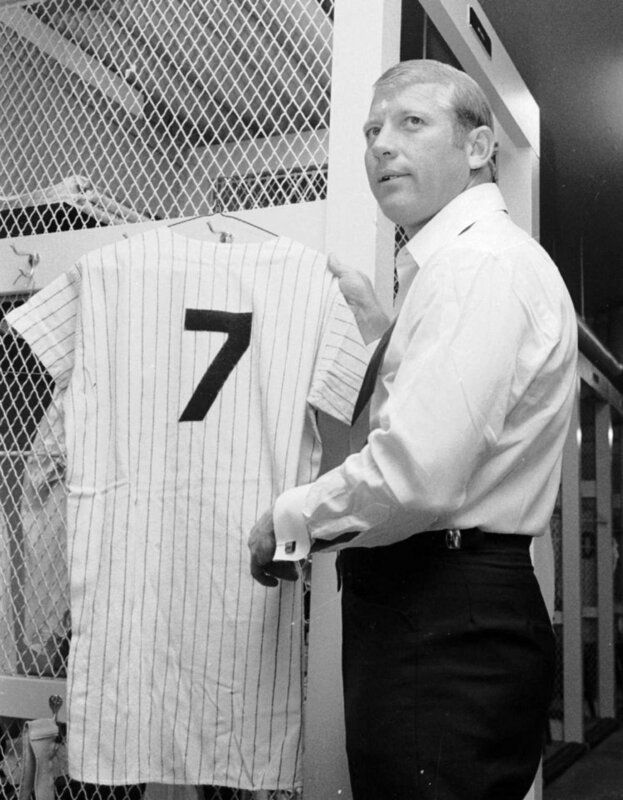 Bob Bruce was pitching for us, so with Maris, Mantle, Tresh, and Pepitone, four lefties would be batting in a row. Rusty might get pretty busy. 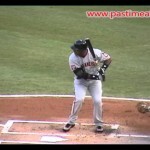 I wondered if I’d have to be doing a lot of “backing up” along the third base line? Our half of the first inning ended as we had taken a 2-0 lead, with the mighty Yanks coming up. I raced out to my position, and as he jogged in, Mickey paused and turned back to give me a look then continued into his own dugout. 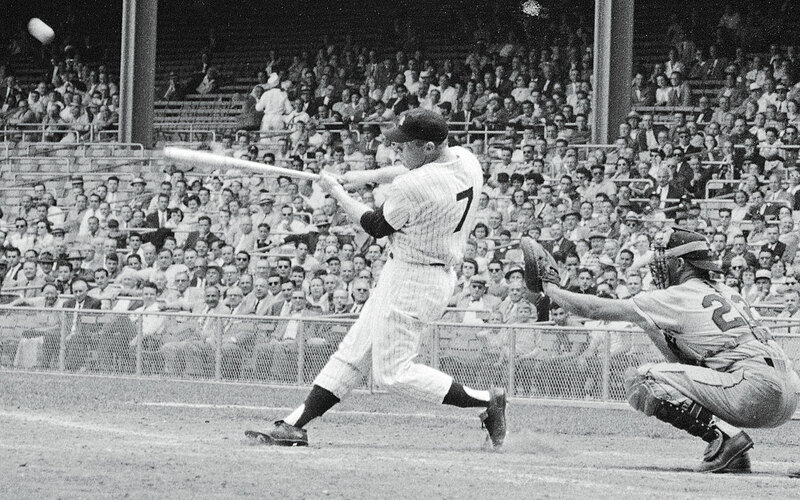 Someone was going to have to get on base, if I was going to see Mantle bat this inning. 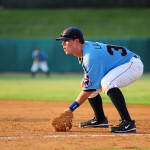 The bottom of the inning began with Phil Linz hitting a ground ball through the right side of the infield for a base hit. 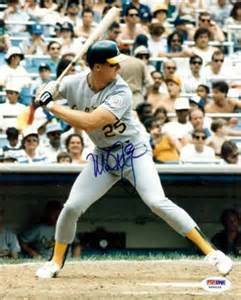 Bobby Richardson then wasted no time in driving a base hit to right field as well. 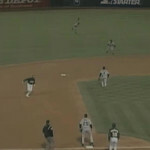 Since the ball was a line drive between Rusty and Jimmy, Linz, a runner with good speed, decided to go to third. 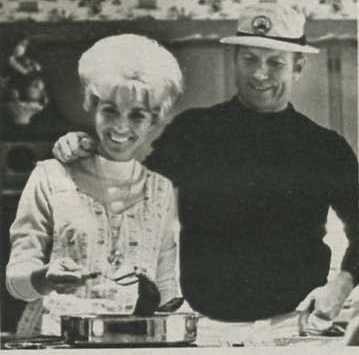 He must not have been aware that Rusty had a very good arm. 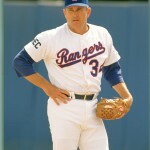 Rusty fielded the ball and threw what appeared to be a “strike” to Aspro at third base. Unfortunately, the ball careened off the back of Linz’s helmet. Bruce was “backing up” the play, in a direct line with the throw. 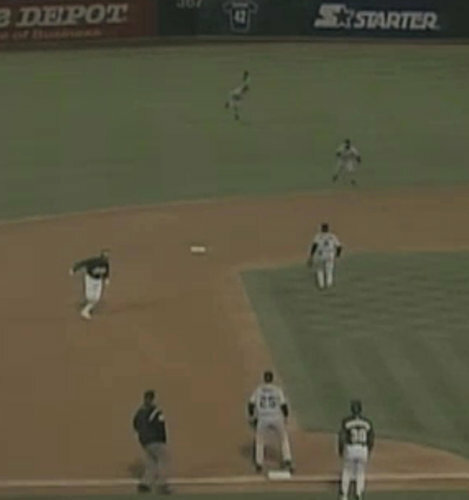 But the ball ricocheted to his far left, even before Linz could begin a slide. 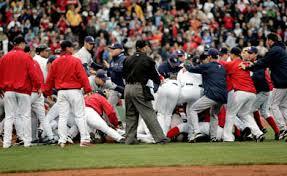 Third base coach Frankie Crossetti reacted immediately and waved his arms and yelled out to keep going home. As soon as the ball careened from Linz’s helmet, the Yankee coach seized the opportunity to capitalize with an immediate response. 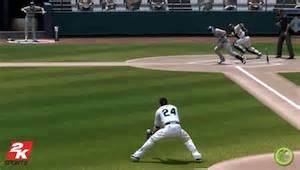 But since I was “there” to retrieve the ball, I caught it and moved quickly toward third, getting ready to throw to Bateman, at home. But I had a “full head of steam” and was running straight at him. He started for home, but before he lost complete sight of me, I faked a throw, which made him hesitate momentarily, allowing me to run him down and apply a quick tag. Richardson had already advanced to second, on the throw to third, and was thinking about advancing again, with the impending “rundown” in order. 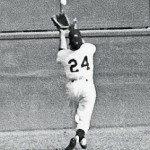 I ran back to my left field position, as my teammates applauded my exploits. I assumed Mantle’s comments were complementary. How could they not be? I thought. 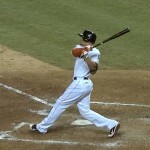 On Bruce’s second pitch, Roger “turned” on an inside fastball and sent a towering fly ball to deep right field. Rusty turned to go back for it, but after a few steps, he knew his effort would be futile. 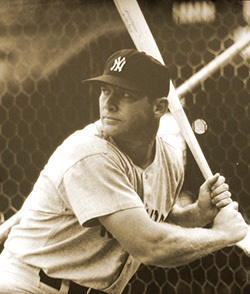 With the score now 2–1, The Mick was coming up for his first at-bat of the day. 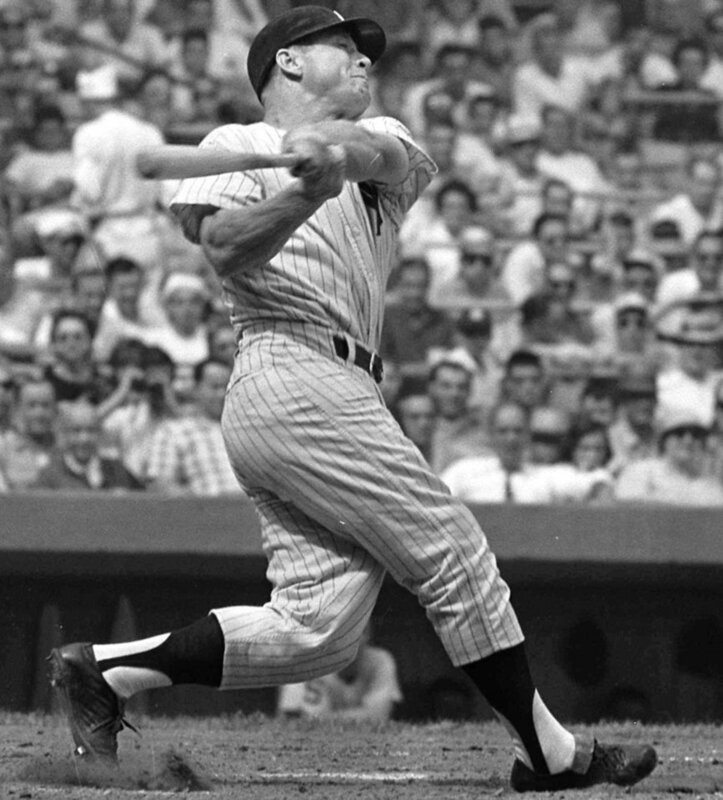 While Maris was impressive in his demeanor and stance, Mantle was “imposing!” He wasn’t that big, but his “stature” reminded me of that Chinese American “gung-fu” guy in Fresno. 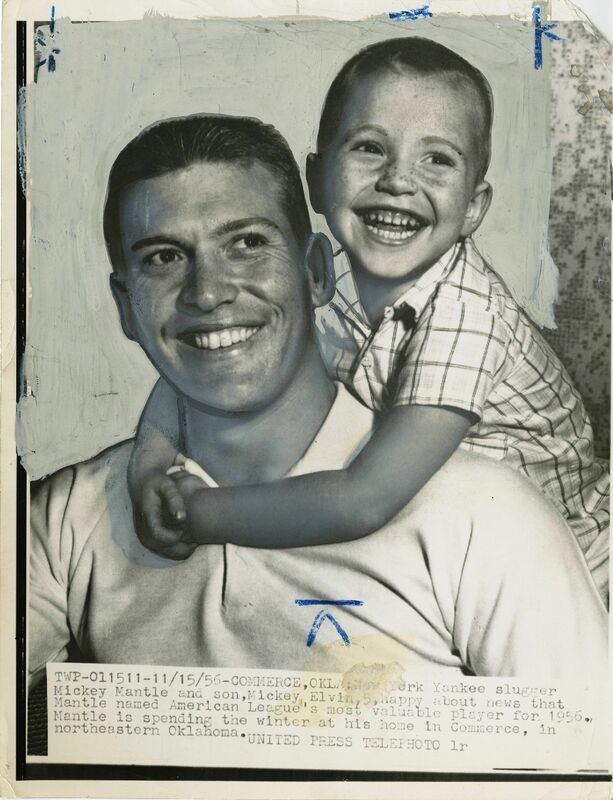 Mickey and Bruce displayed a physical presence that defied general perception. 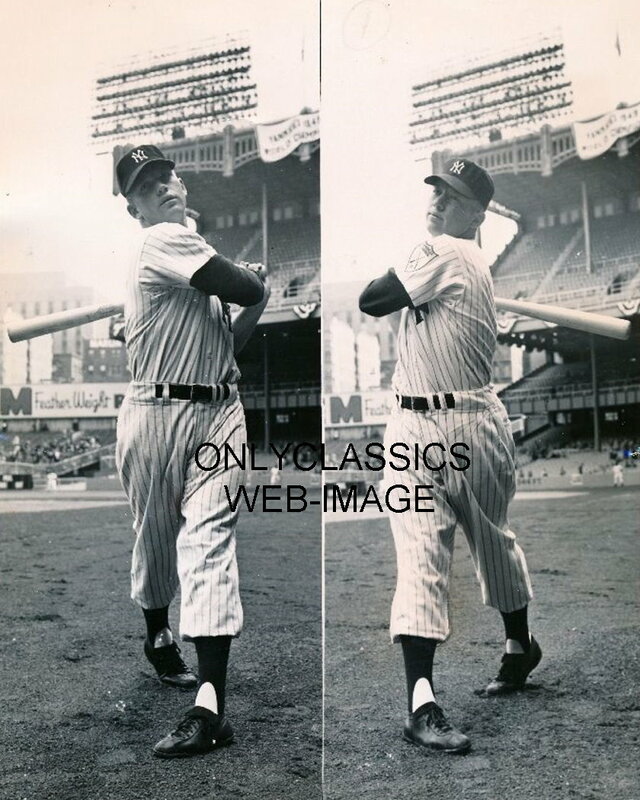 Although this would be my first actual, personal encounter with the Yankee slugger, the pictures and television viewings of his exploits saturated my mind with memorable visions of monumental proportions. 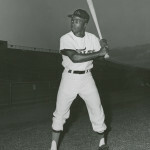 He’s batting left-handed against the right-handed (Bob) Bruce. 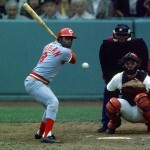 He’s generally a “pull hitter,” but he did hit home runs to the opposite field and “off-balanced” grounders that he was once able to “beat out” for hits. “I doubt if I’ll see much action from off his bat. But I’ll be ready any way,” I admonished myself. Bruce’s first-pitch fastball was swung at with ferocity and sent a foul ball whistling directly back behind home plate; he just missed it. The next pitch was “off-speed” and caught Mickey (and his long stride) way out in front, while “topping” a ground ball into our first base dugout. 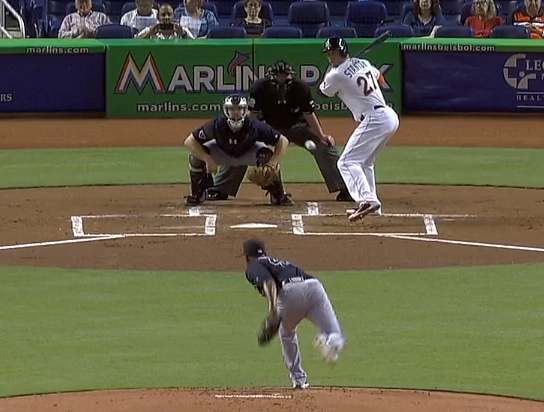 With an 0–2 count, Bruce threw a curveball in the dirt. Although Mickey almost swung, he held up, off his front foot. Now with a 1 and 2 count, Bruce made a big mistake in trying to throw what looked like an outside-corner fastball past the Mick. From my standpoint, I could see the coiling action of Mickey’s “gathering mechanism” synchronize perfectly with his ostensible stride. 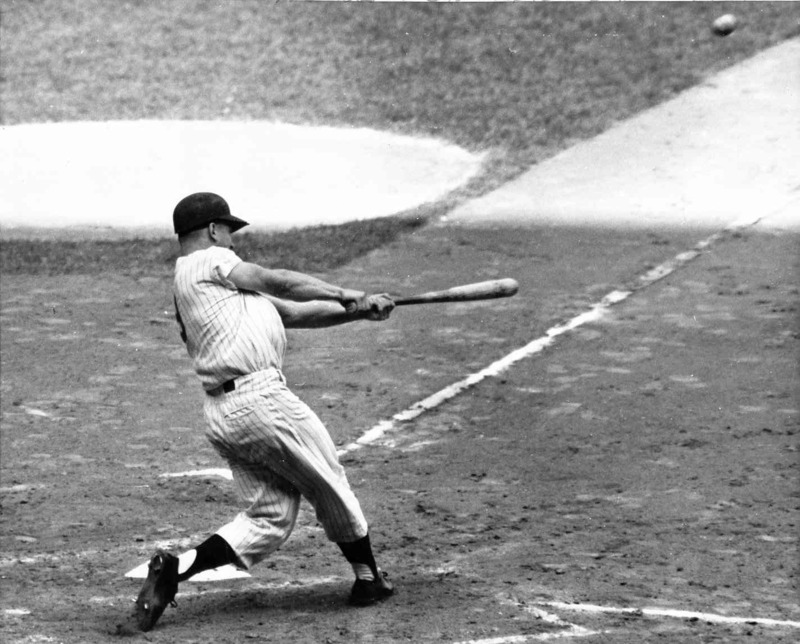 As his front foot planted, the torqueing action of his body came into synergistic accord with his entire batting regimen. 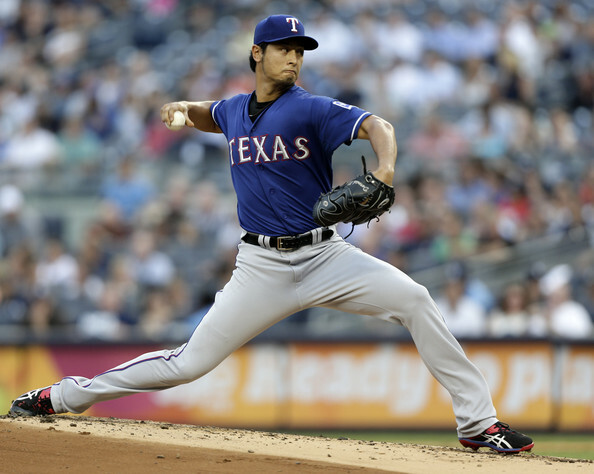 As his front leg straightened to initiate the backward movement of his opening front hip, his back bent knee had already begun its forceful drive forward with his fast turning back hip. 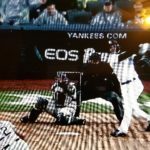 Then the fluid and powerful upper body came into play as his “shrugged” front shoulder turned violently in circular fashion around his horizontally rotated hips. 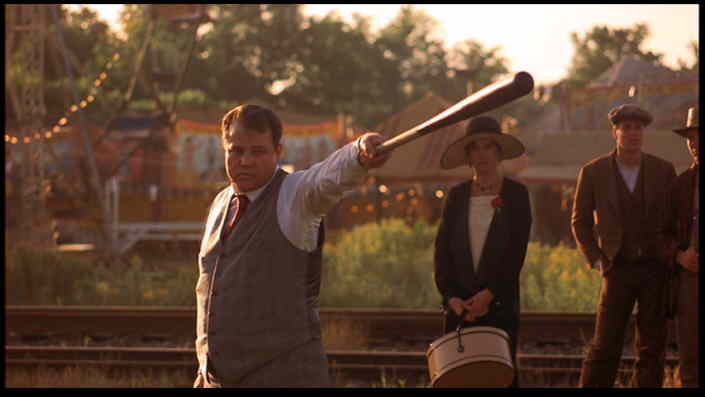 This action brought his back shoulder, arms, and bat to the focal point where “hickory and a hardbound leather projectile” came into a perfectly orchestrated coincidental contact. 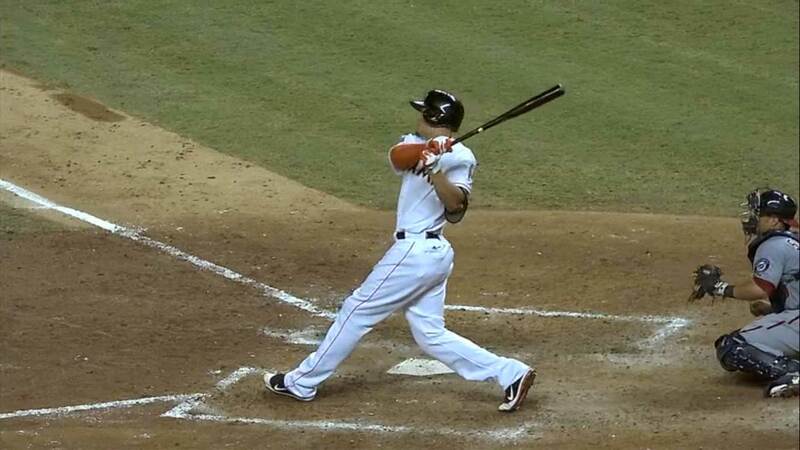 That missile traveled well past the four hundred–foot distance to the fence. 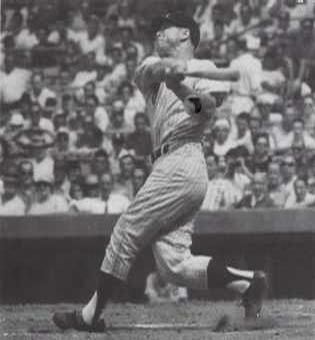 Even as I was moving toward center field, my mind’s eye could picture Mickey’s “picturesque follow-through.” His back shoulder didn’t stop, after contact, until it had driven his back arm to extension through the swing and wrapped around the right-front portion of his body and placed itself directly in front of his twisted torso. What muscular joint flexibility! It’s no wonder he could generate such power. 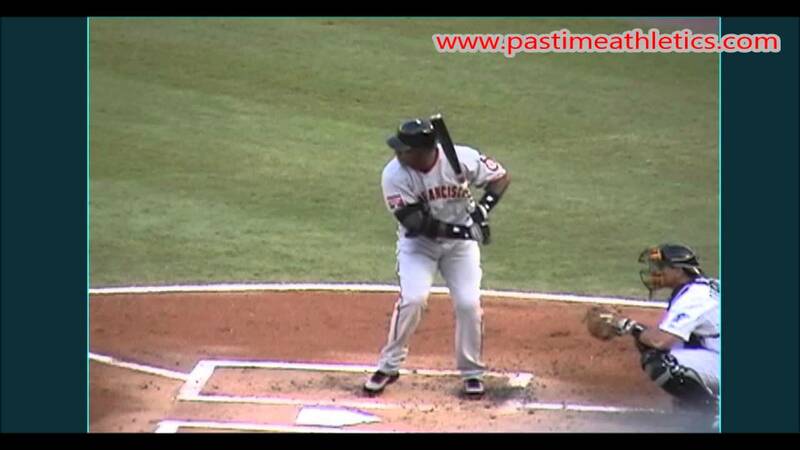 If he didn’t stride, he’d probably be less apt to swing and miss as much as he did. 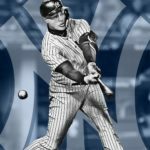 As I was watching his somewhat “limping trot” around the bases, he seemed to deviate from his customary, “humble, head-down” demeanor when, after rounding second base, his head tilted right and his smiling glance seemed to imply that he was still a formidable force to be reckoned with. My own “thumb-up” certainly confirmed that inference. If you enjoyed that excerpt, you’ll no-doubt enjoy the other 52 chapters of my Book when it comes out of publication sometime in February. I might include other excerpts from those chapters before the publication date.